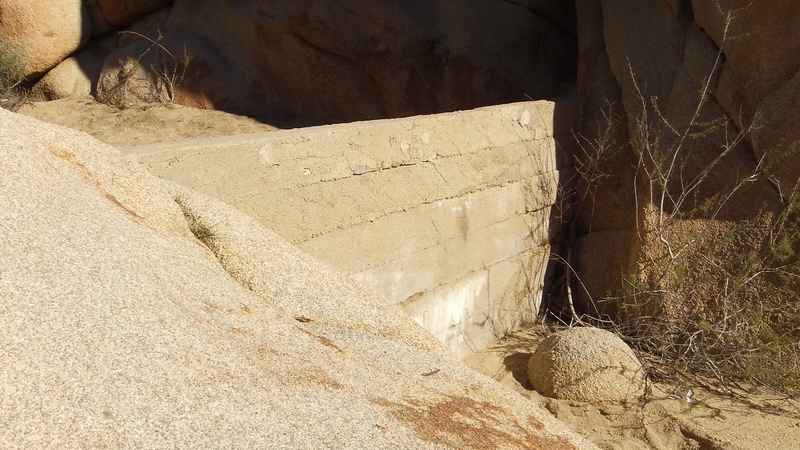 WHITE TANK IS A MINI-DAM. 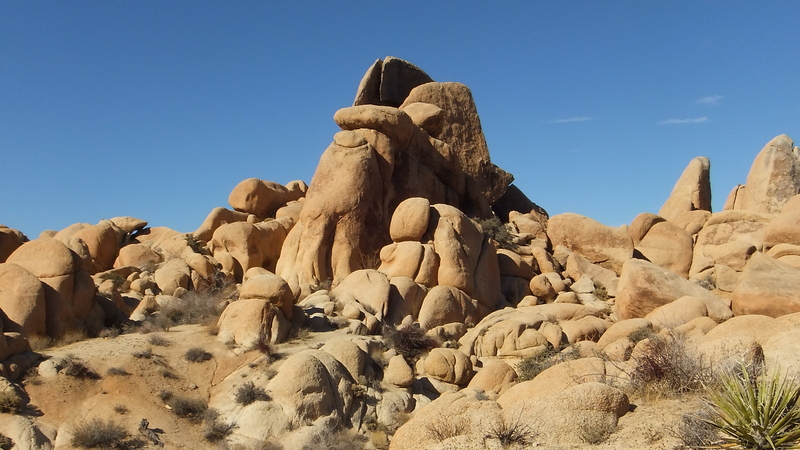 In its day I suppose it served its purpose. 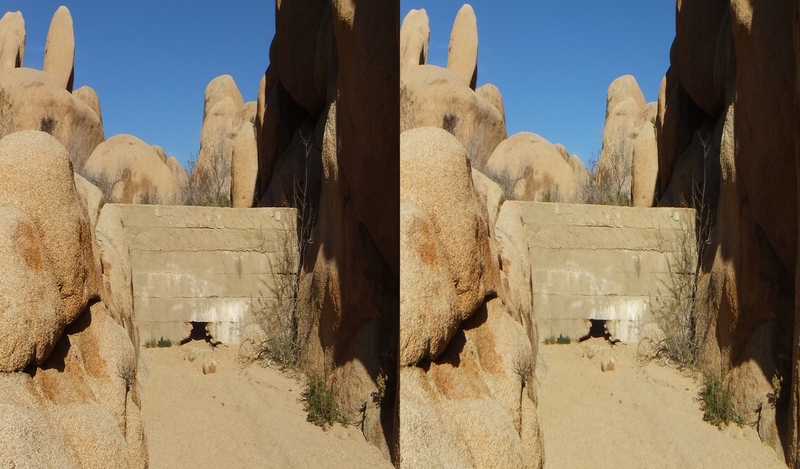 Now that there is a hole in the bottom, rain water drains through. 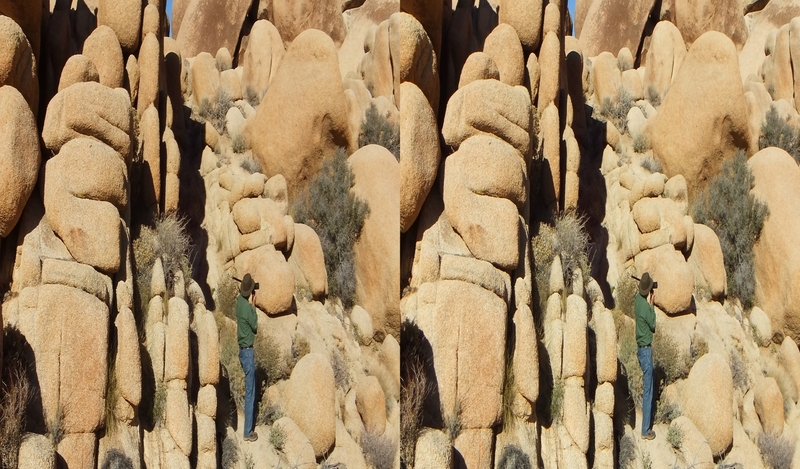 A quick patch job taking perhaps an hour or two would put it right. 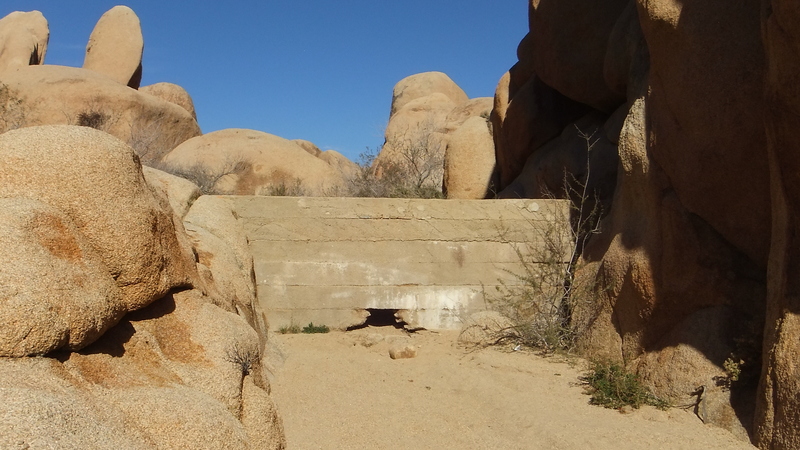 But that would involve a select committee of experts today, and environmental impact statements, so until repairs are undertaken, a few wretched beasts and bugs are denied their sip of life-sustaining water. 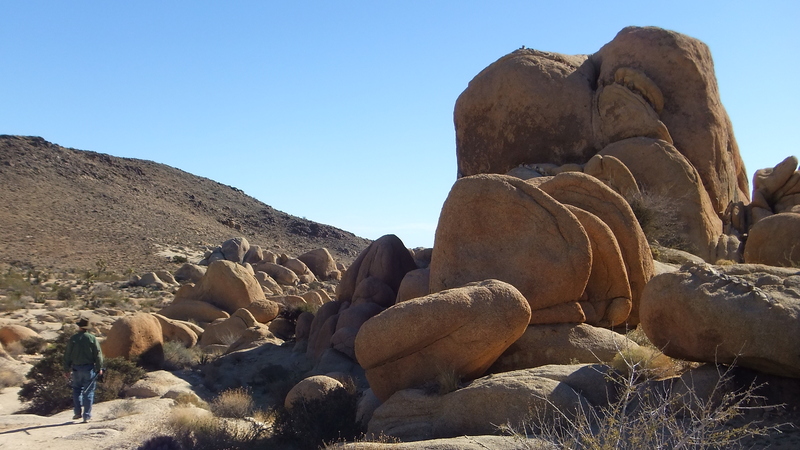 Seems a rotten deal. 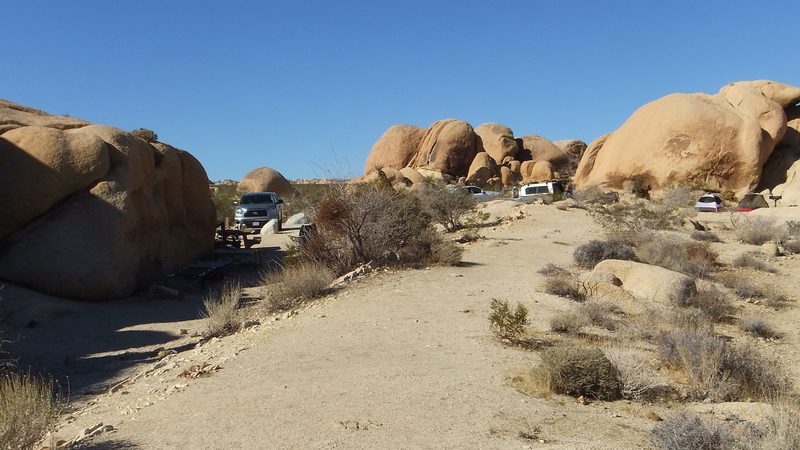 White Tank Gallery includes our short hike circumnavigating the south end of the White Tank Campground. 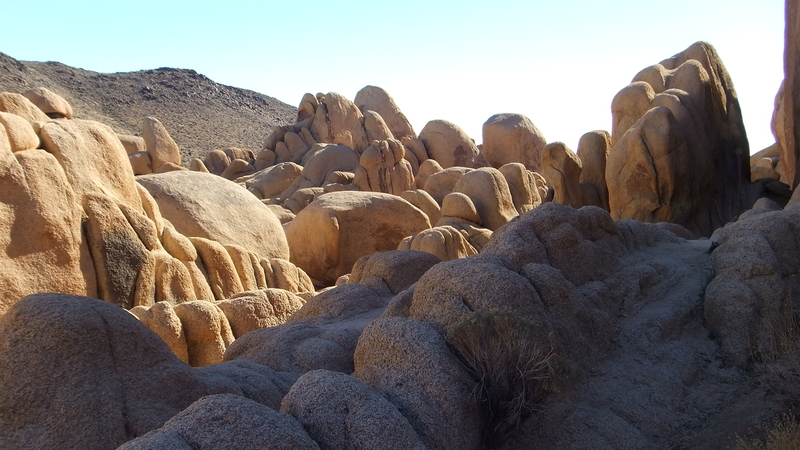 The approach fills the eyes with delight. 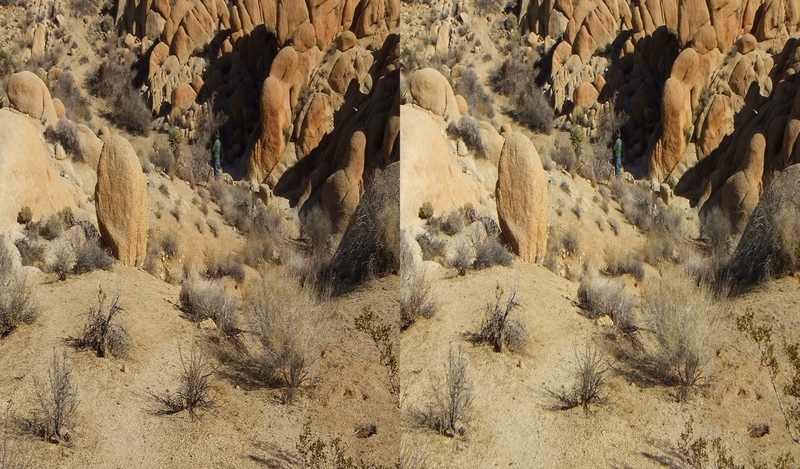 Takes only a few minutes. 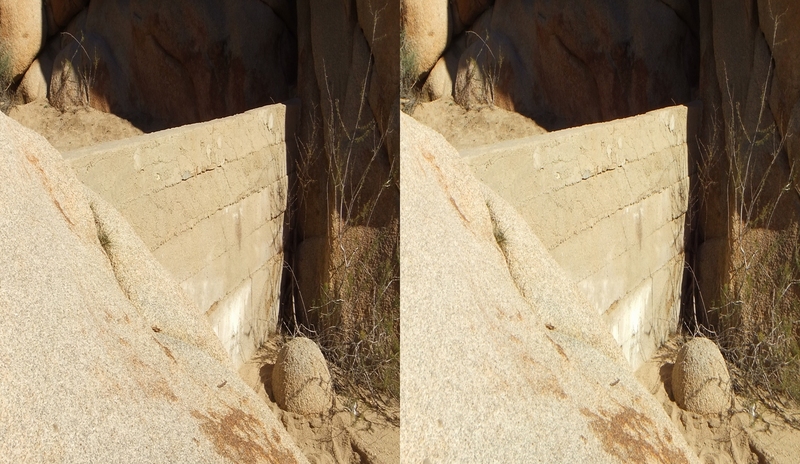 The dam is tucked in close under a pair of rabbit ear rocks. 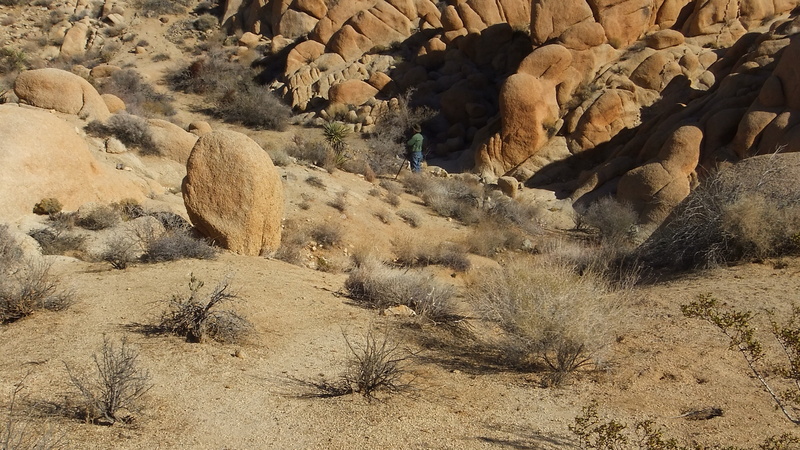 Look for them once you are positioned correctly, and your destination lies dead ahead. 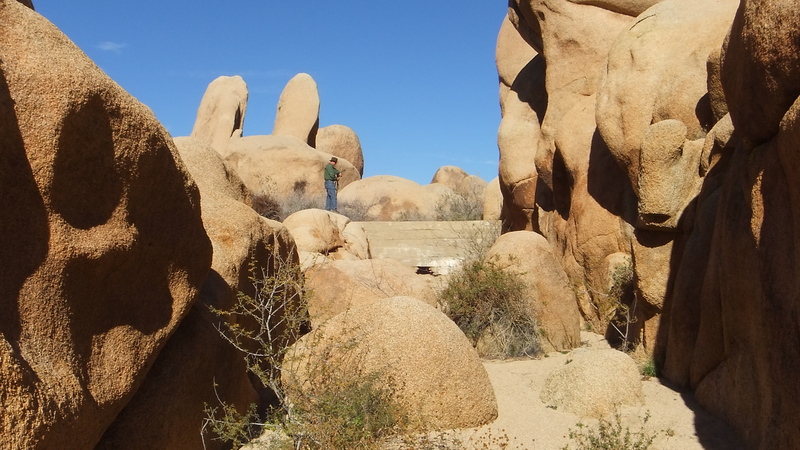 This Gallery concludes with a few too many E!-shots leading a clearly befuddled Murbachi to our final destination: Grand Tank. 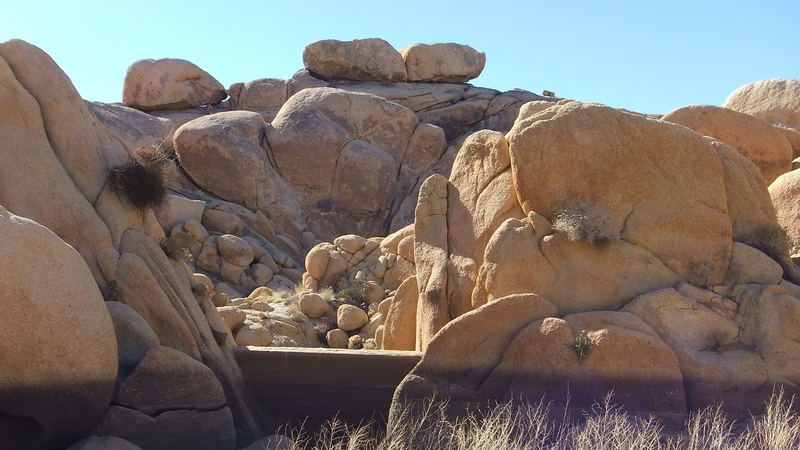 Grand Tank itself is worthy of the name. 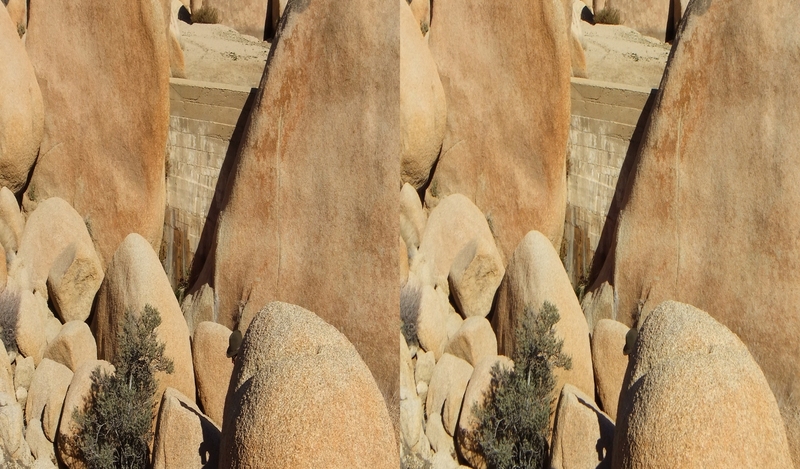 Grand Tank is grander than its little cousin when one stacks them side-by-side, so to speak. 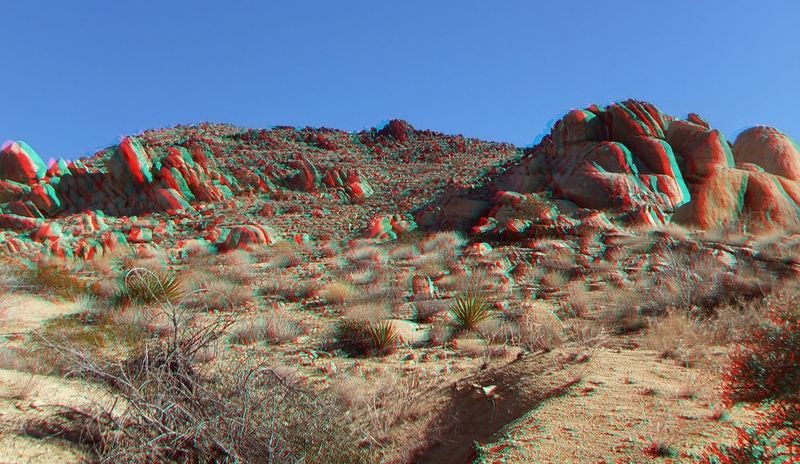 Its location and 3D photogenic virtues are profoundly striking. 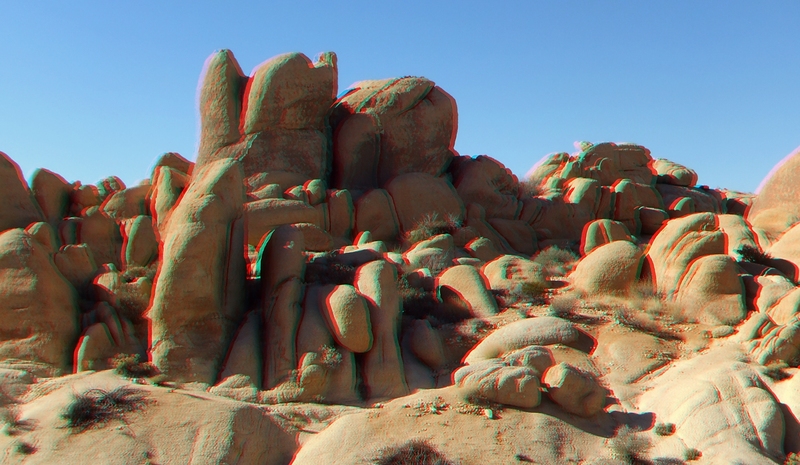 I have set aside an exclusive Gallery for the 3D Grand Tank pictures. 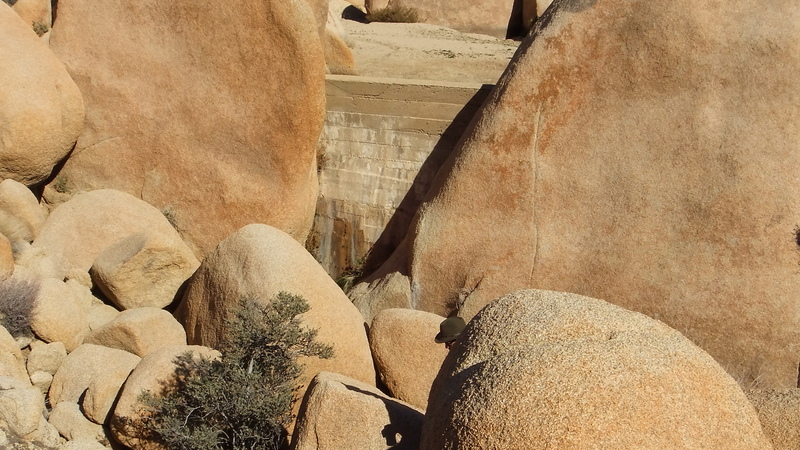 Jump to it HERE. 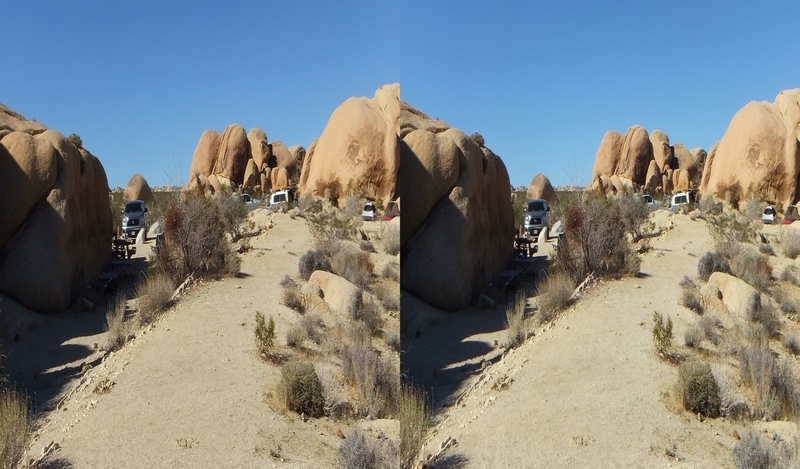 ← ↑ White Tank can also be reached through this mind-boggling jumble of rocks—we did it for fun and it was a piece of cake. 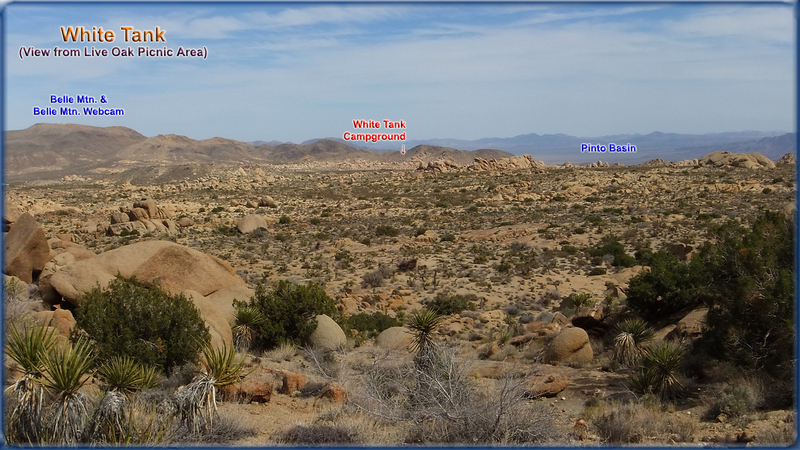 (Pie lovers: we found it was easy as pie to get to White Tank from the alternate direction.) 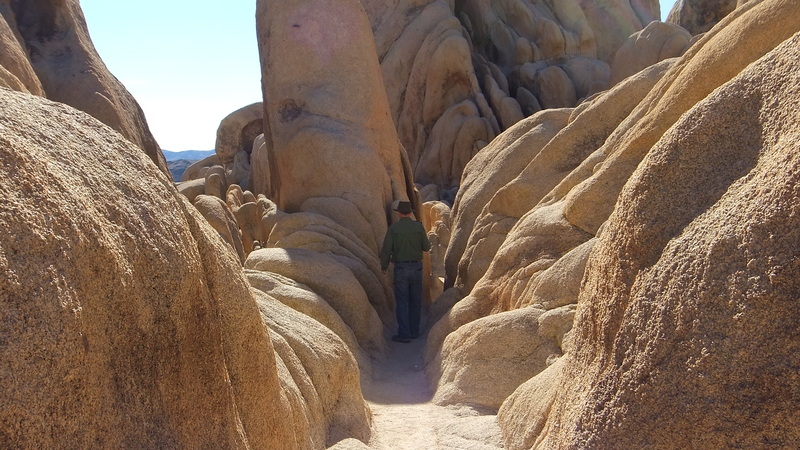 You slip through a passage a few yards beyond Arch Rock. 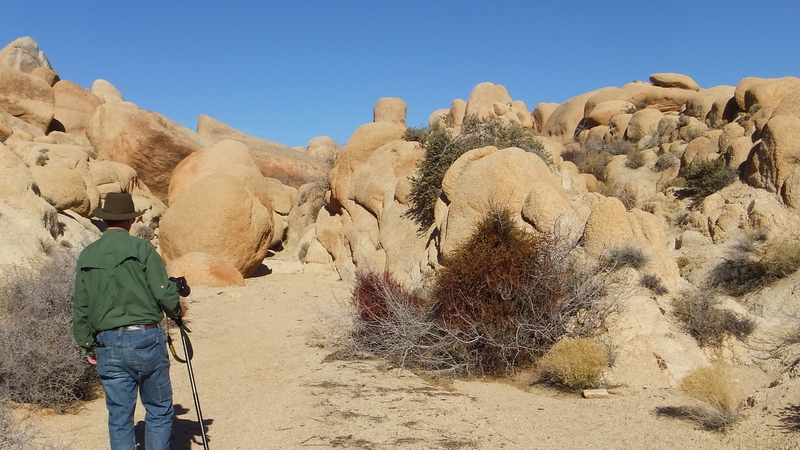 Again, please be my guest and visit E!’s GALLERY of photos from our January 2 hike. 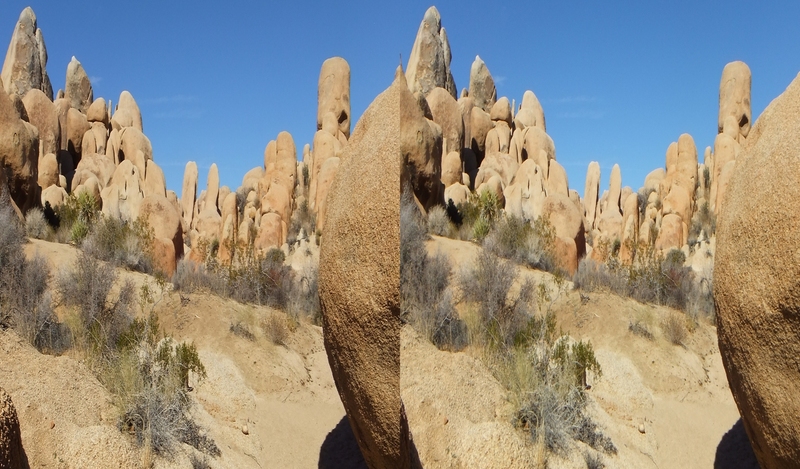 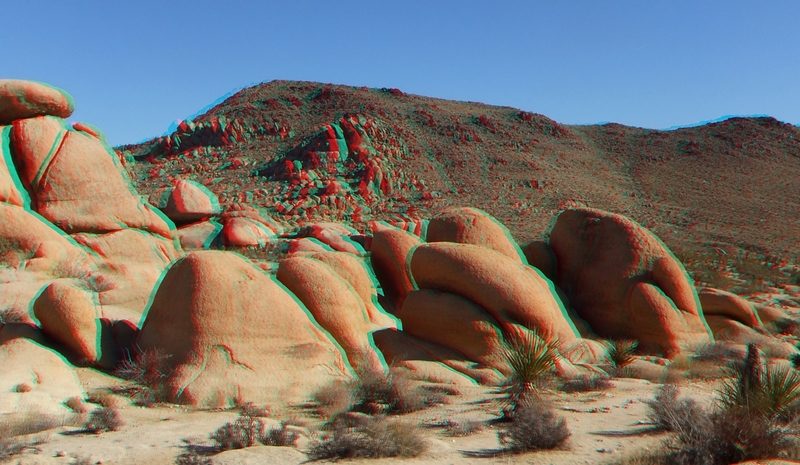 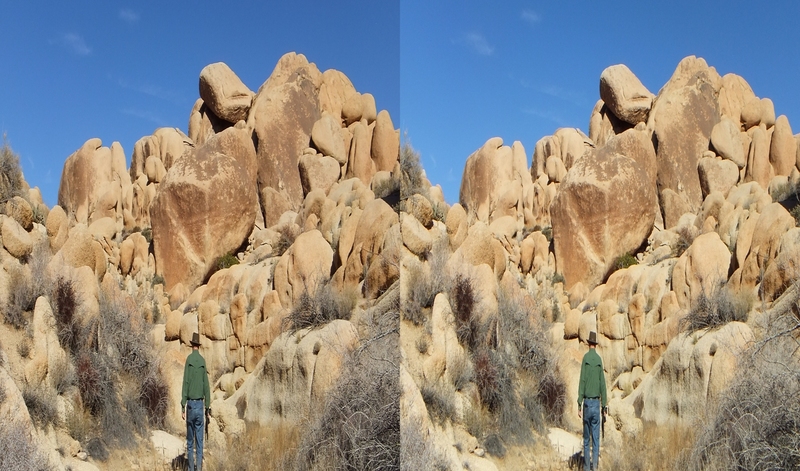 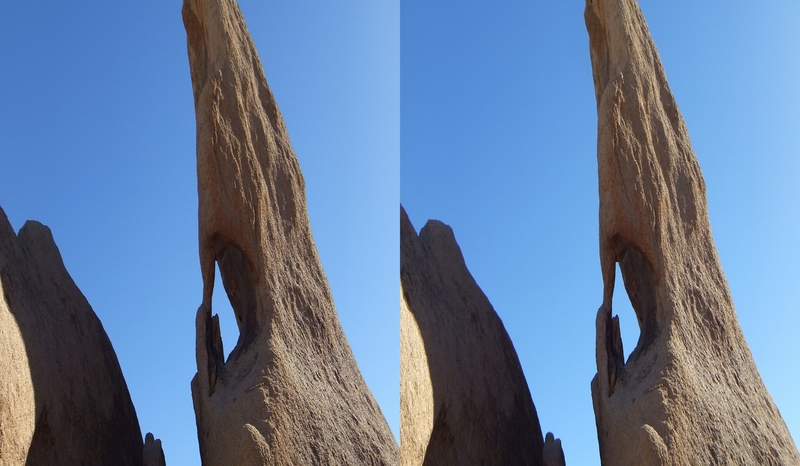 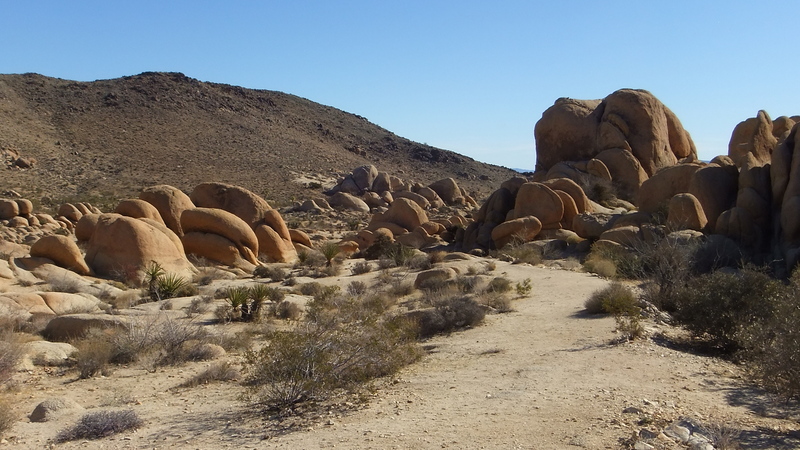 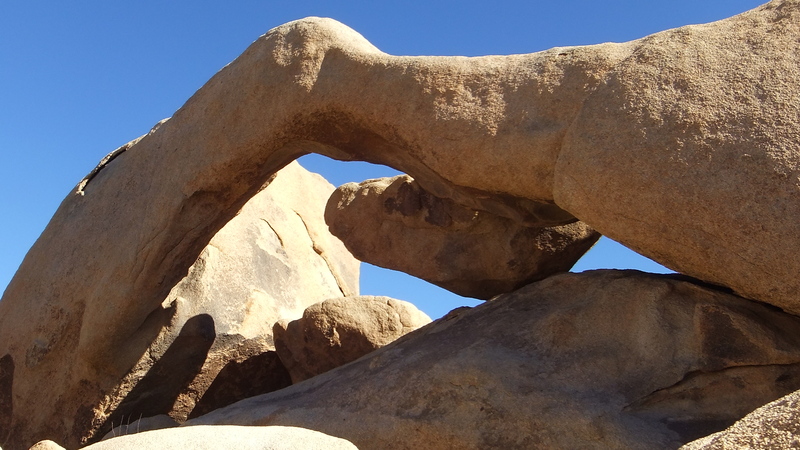 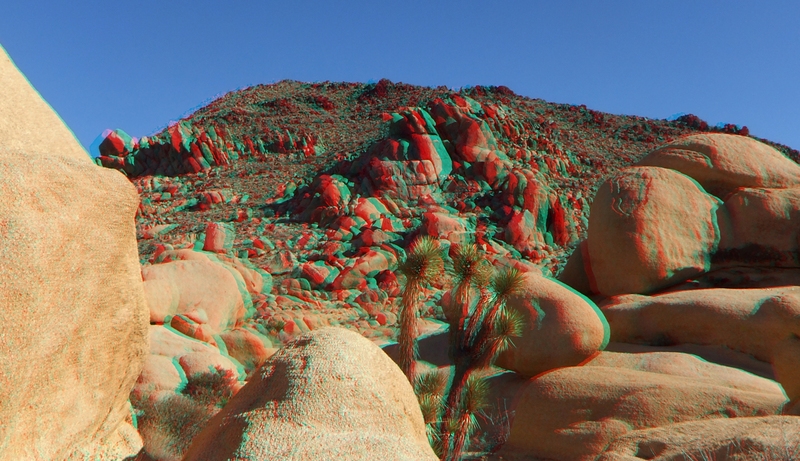 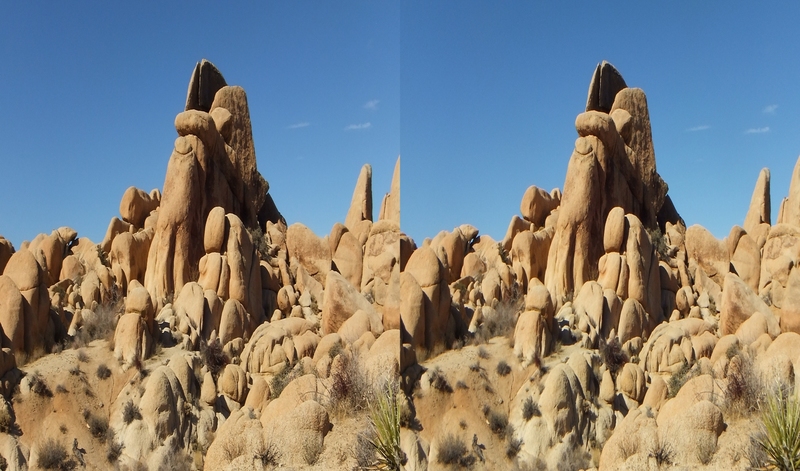 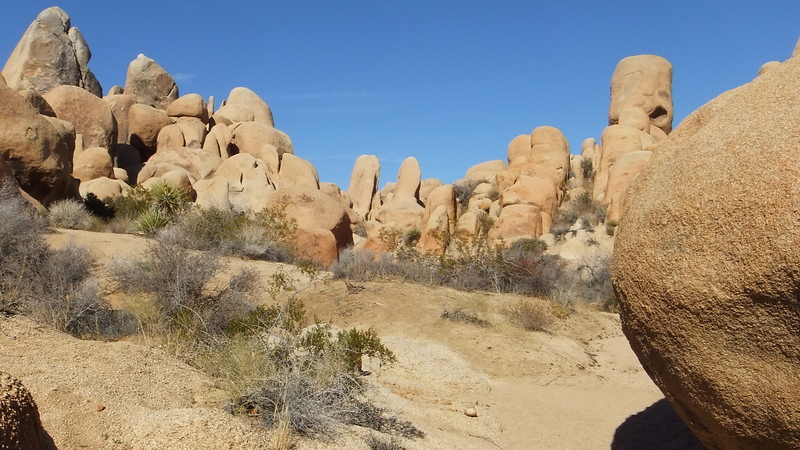 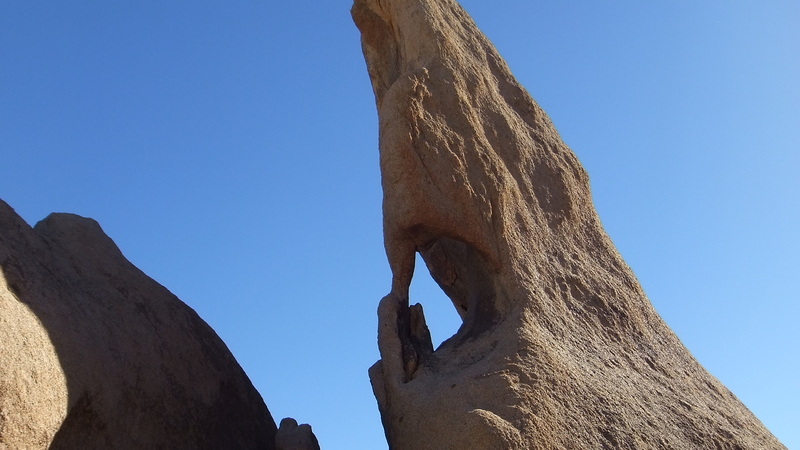 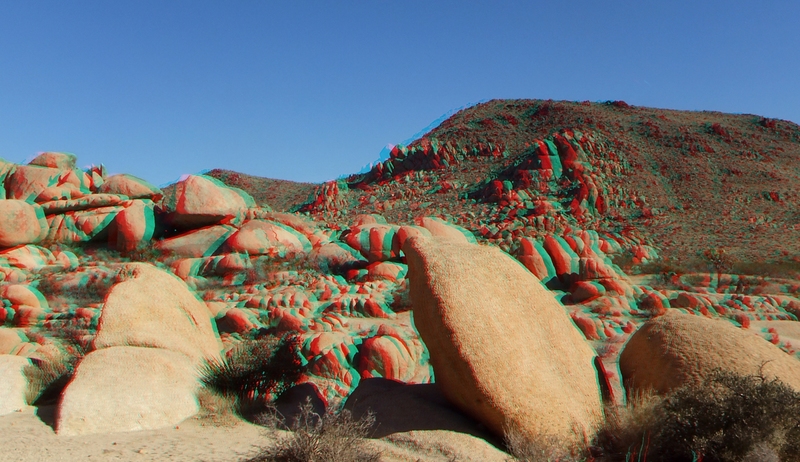 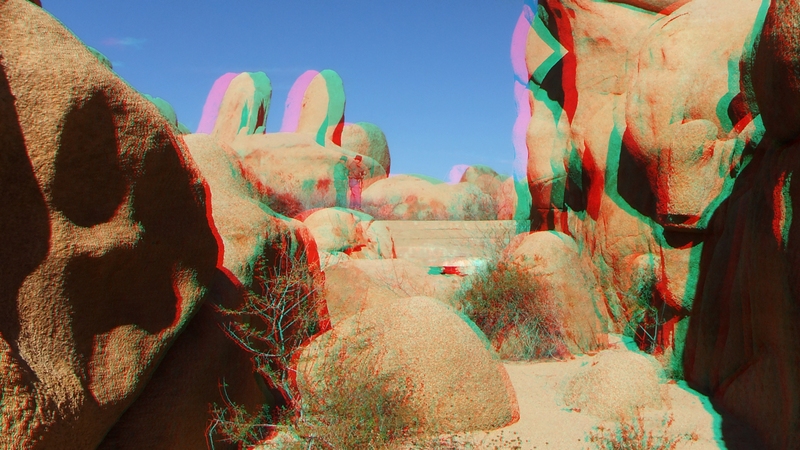 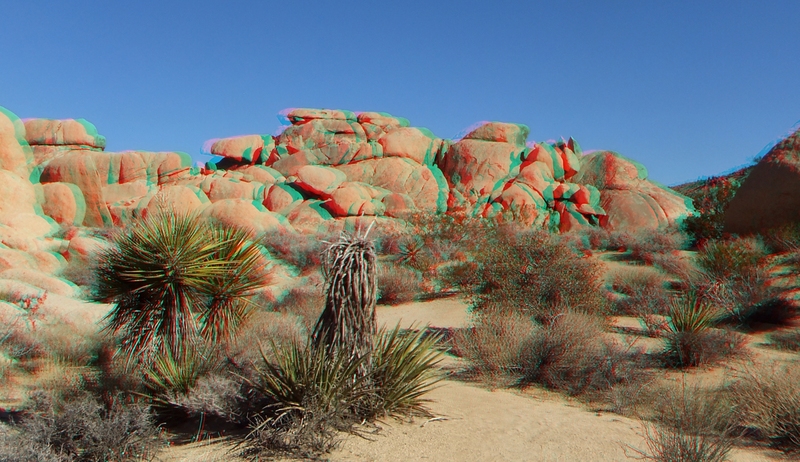 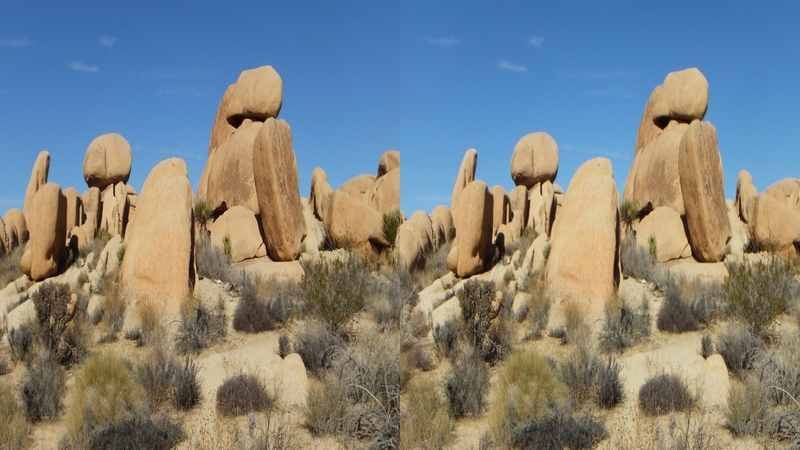 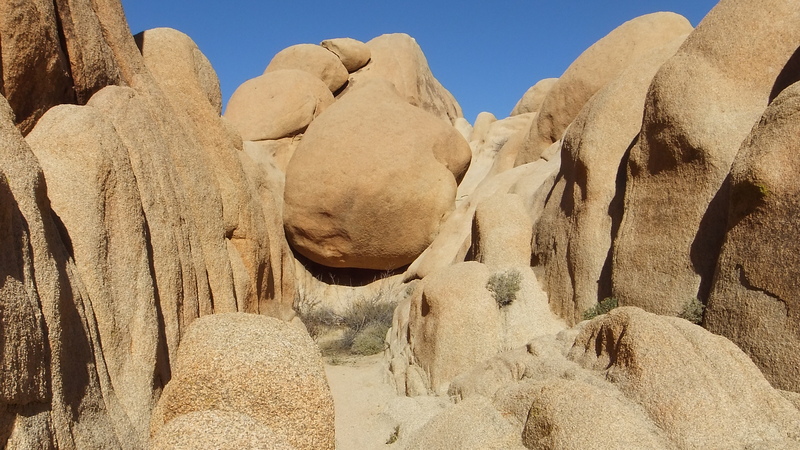 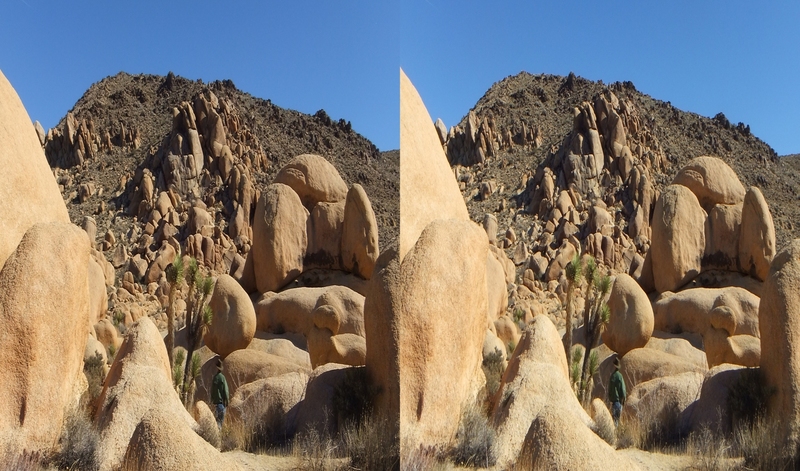 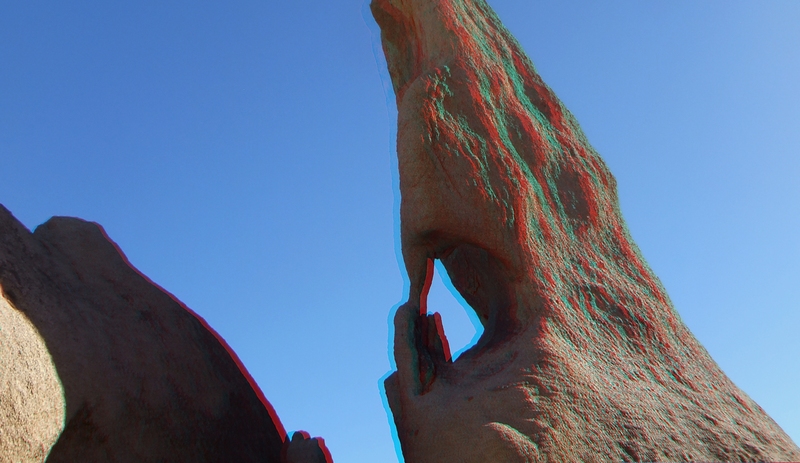 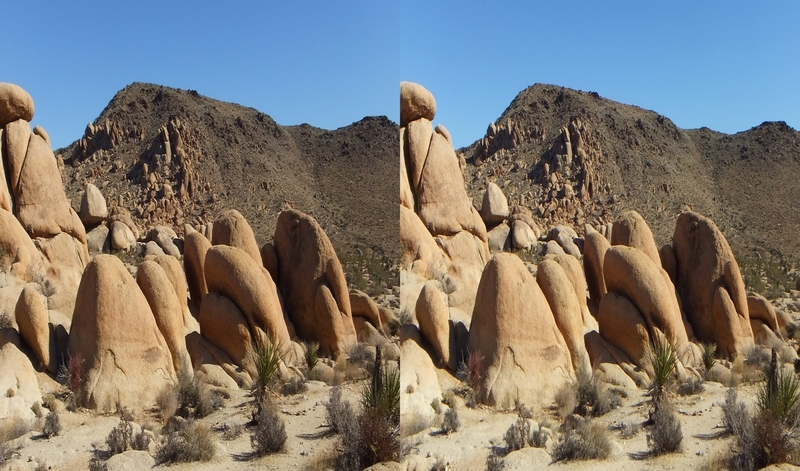 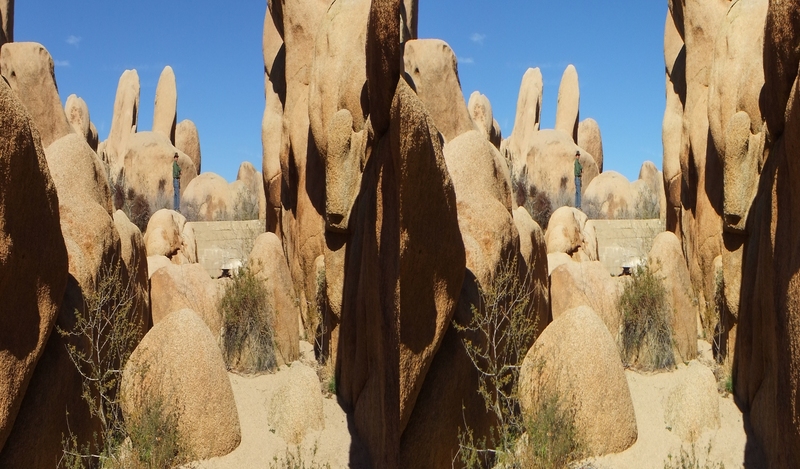 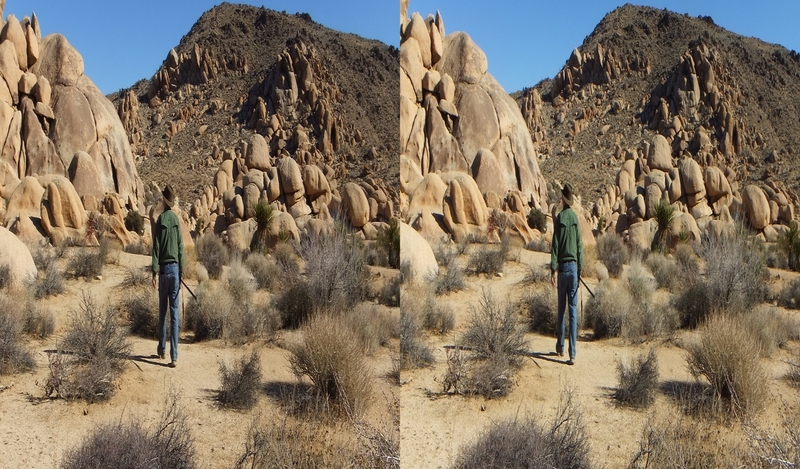 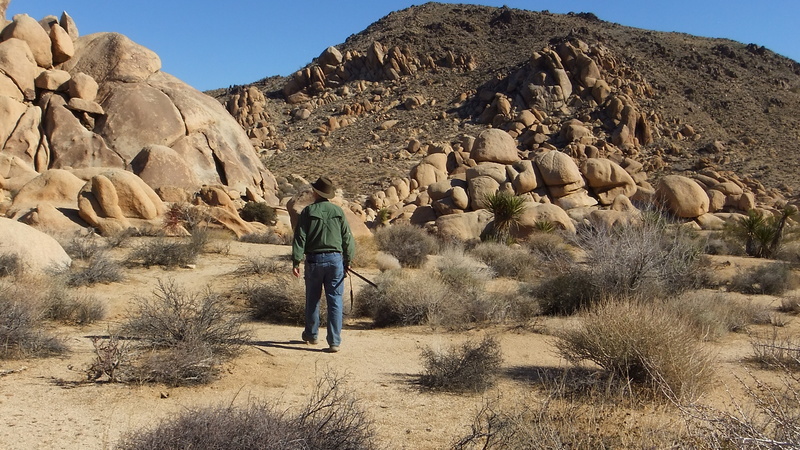 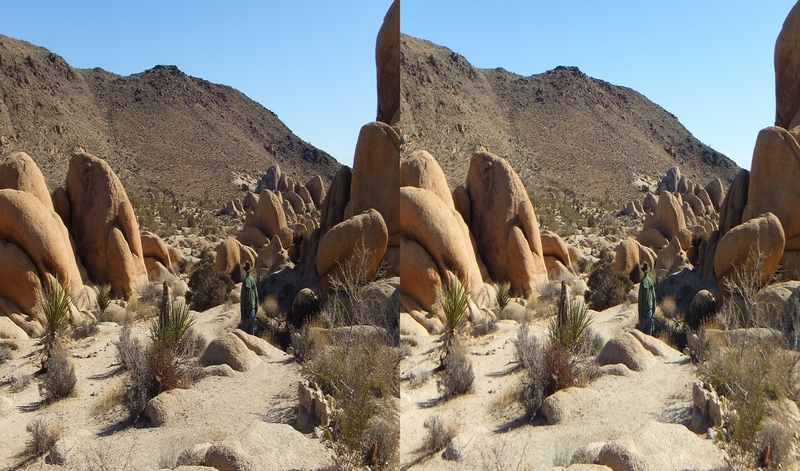 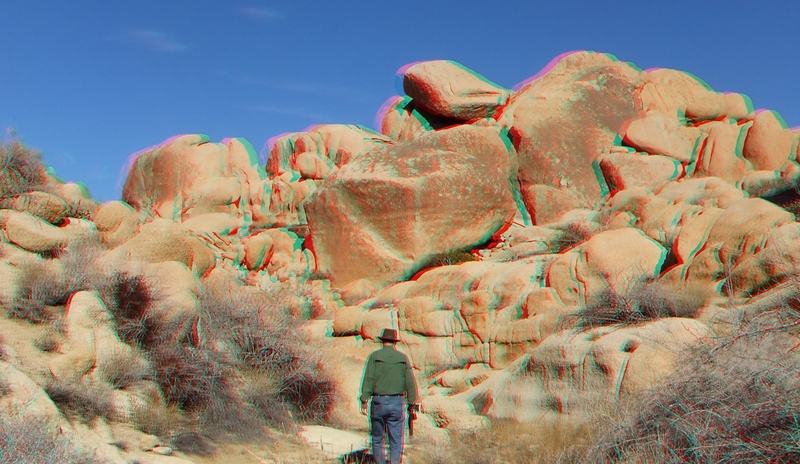 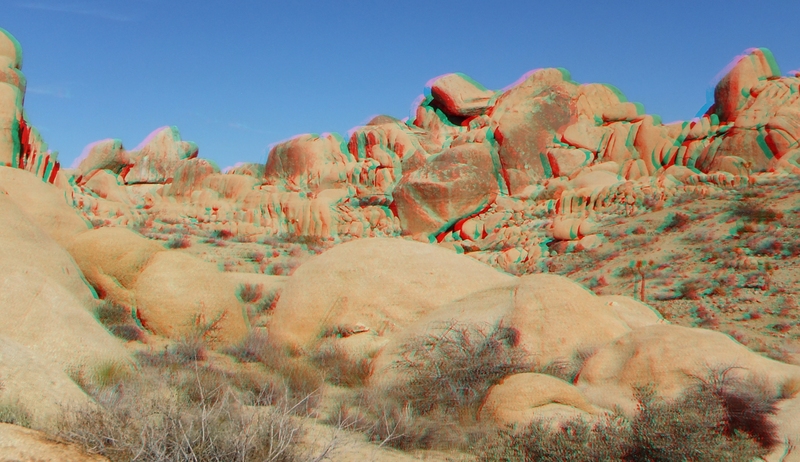 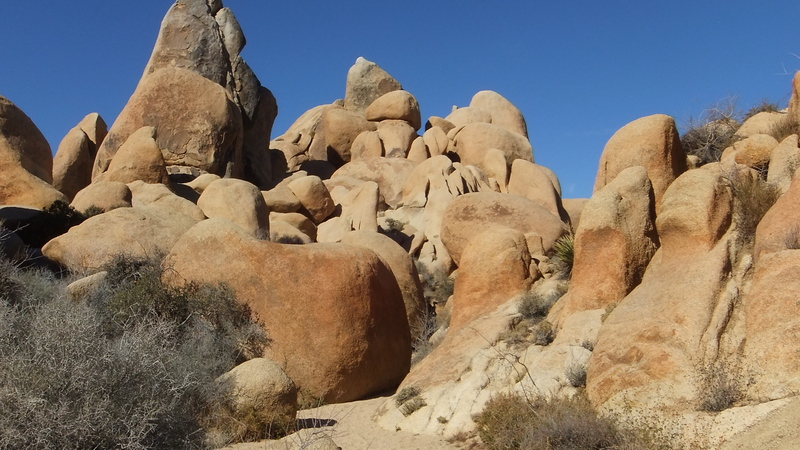 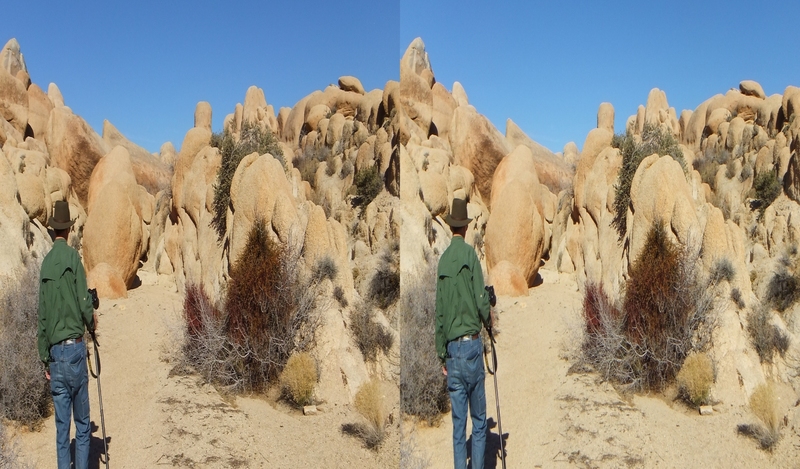 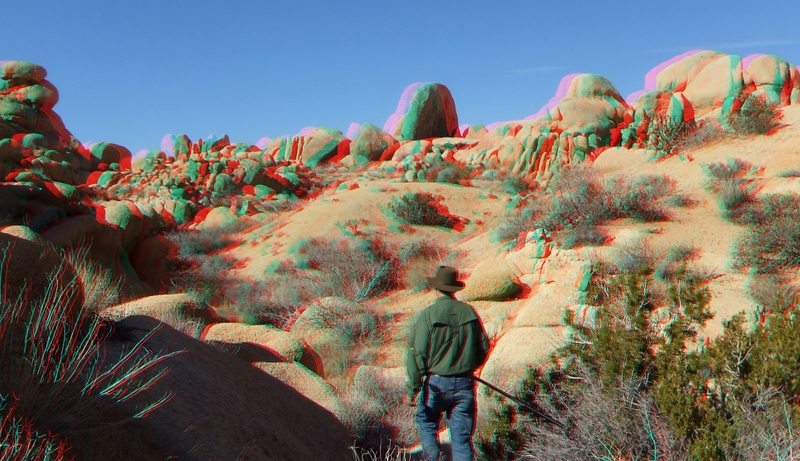 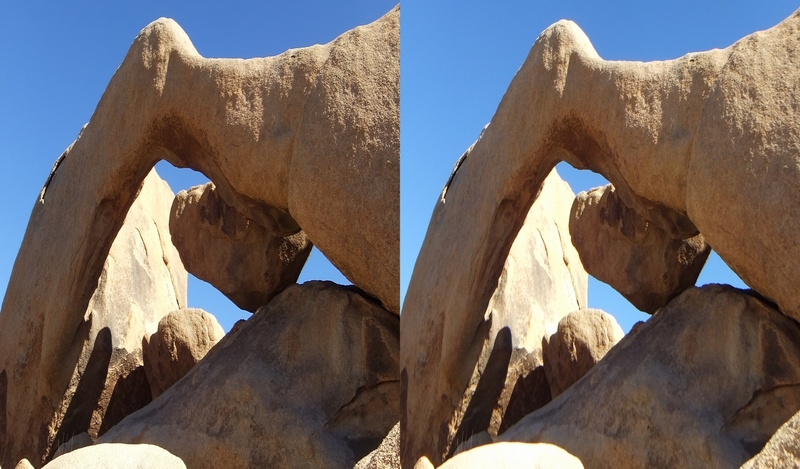 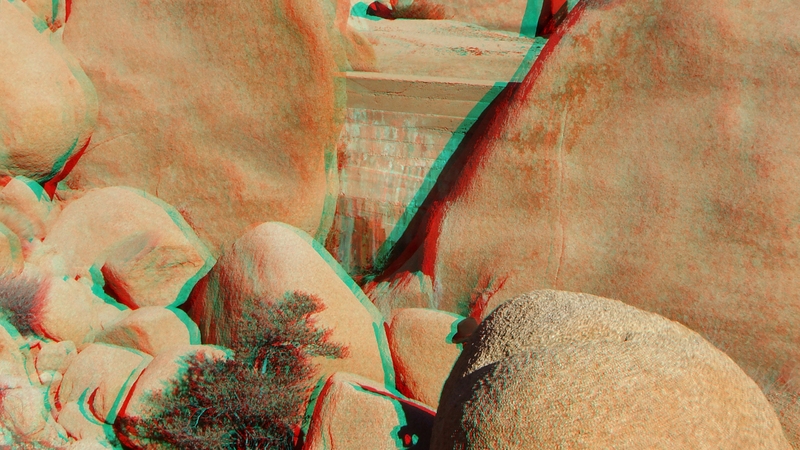 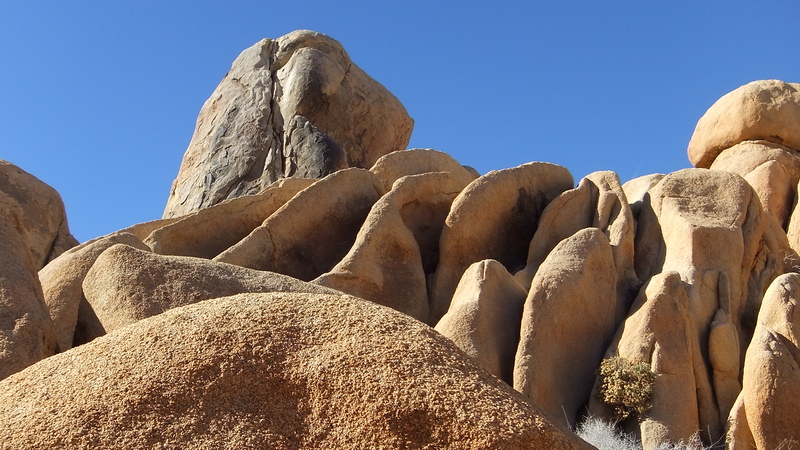 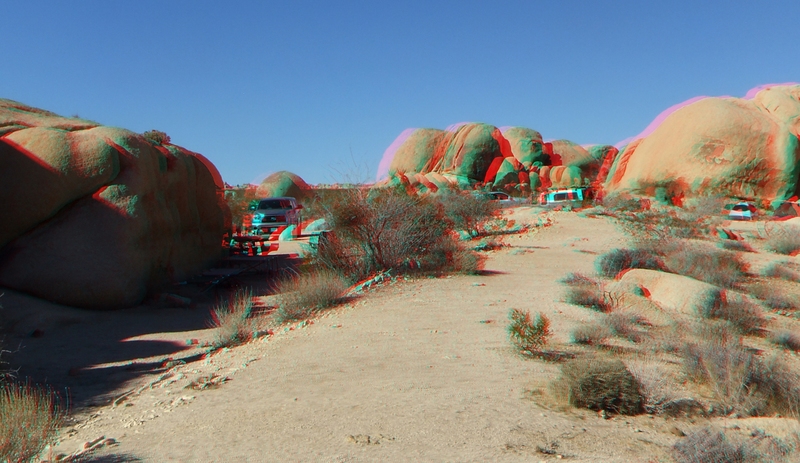 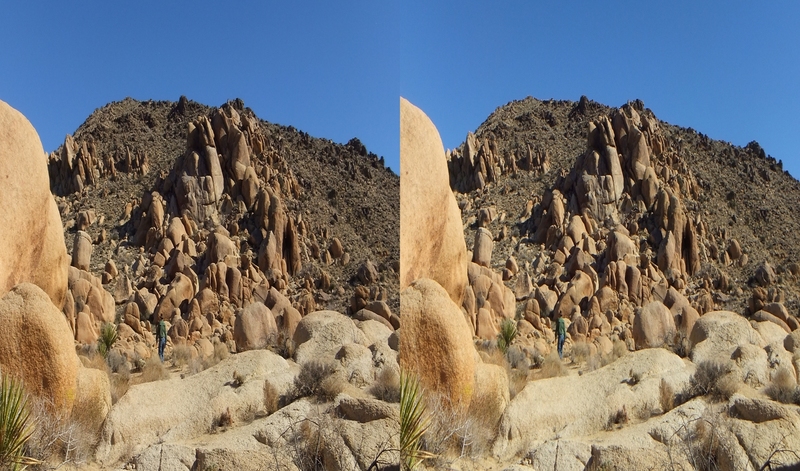 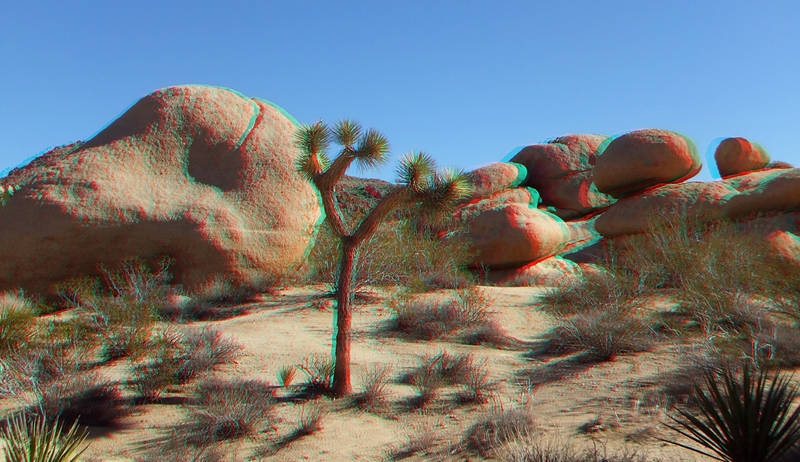 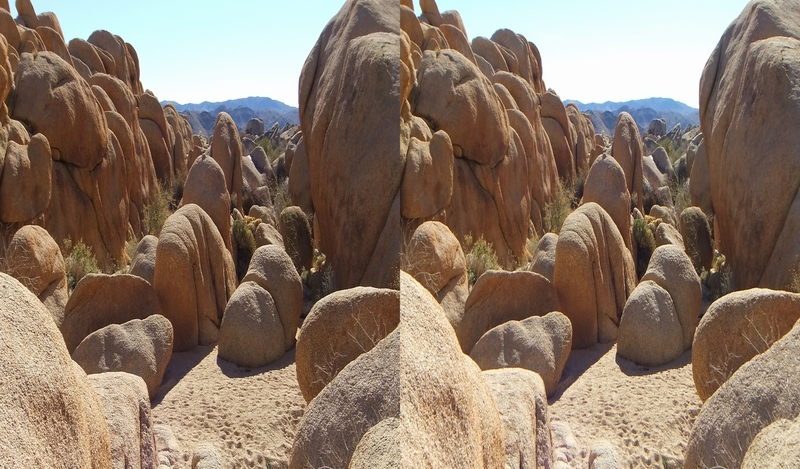 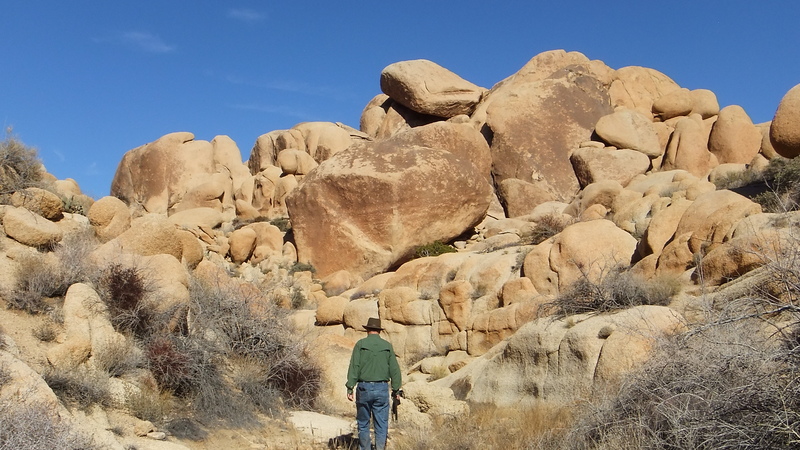 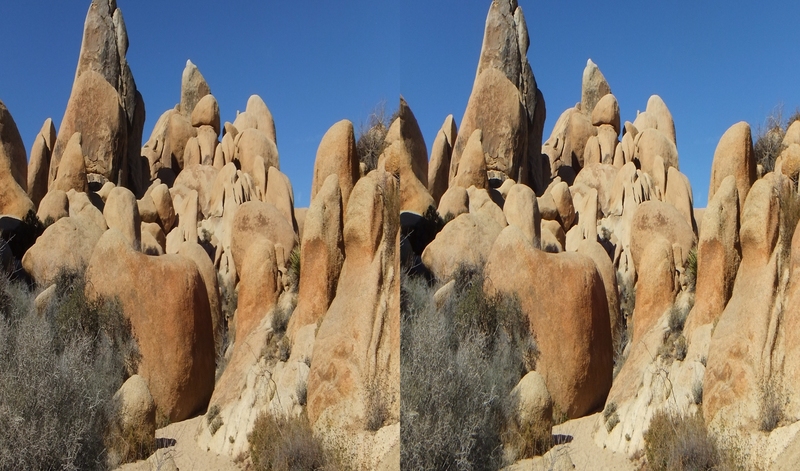 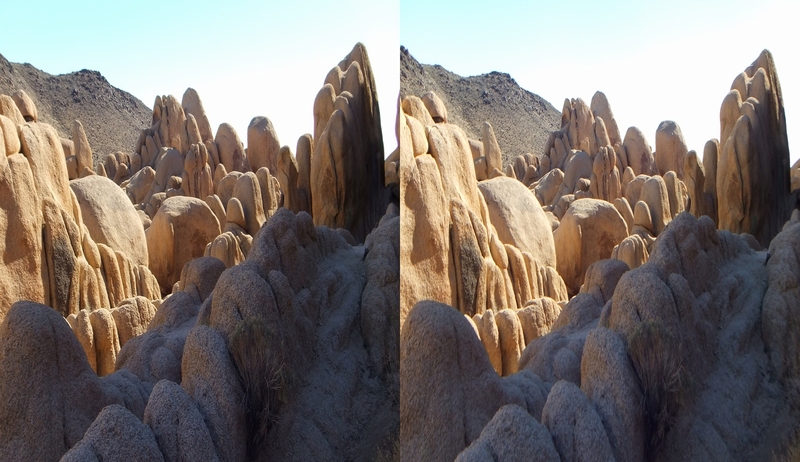 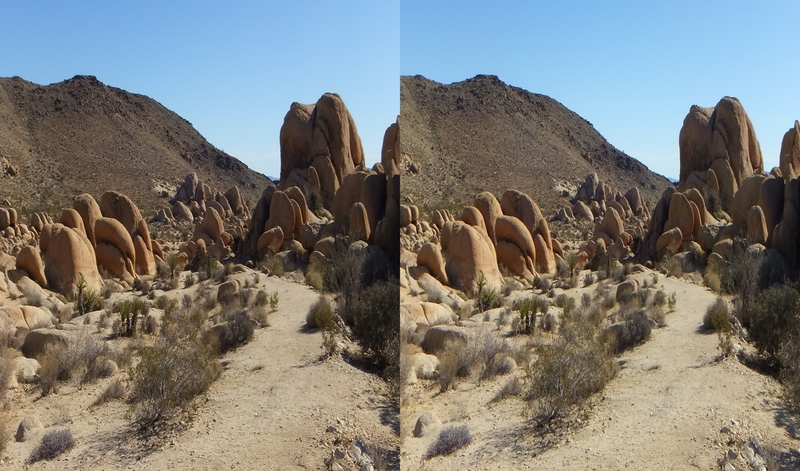 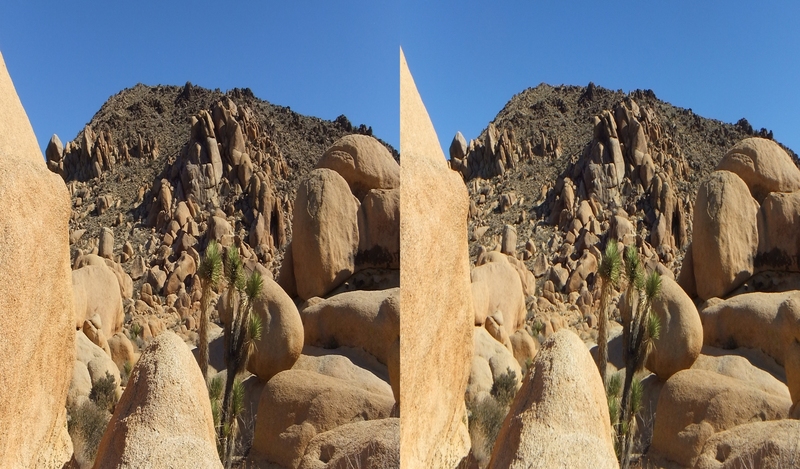 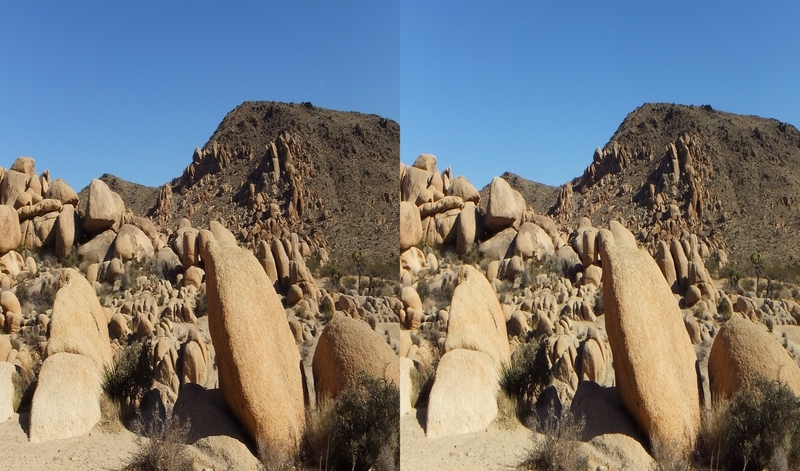 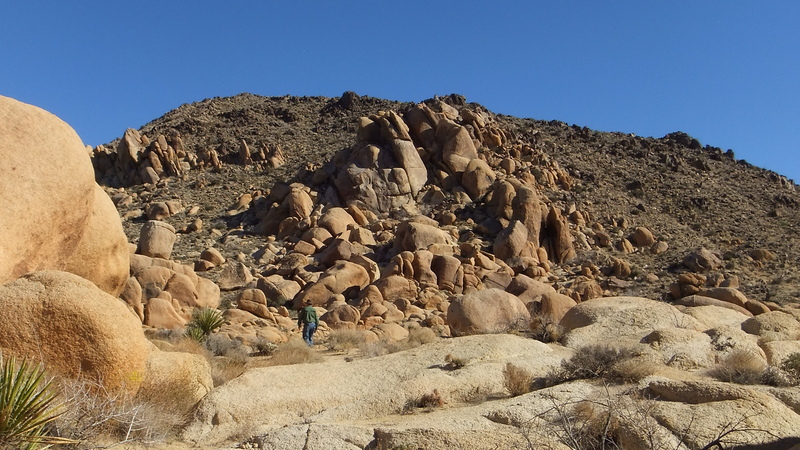 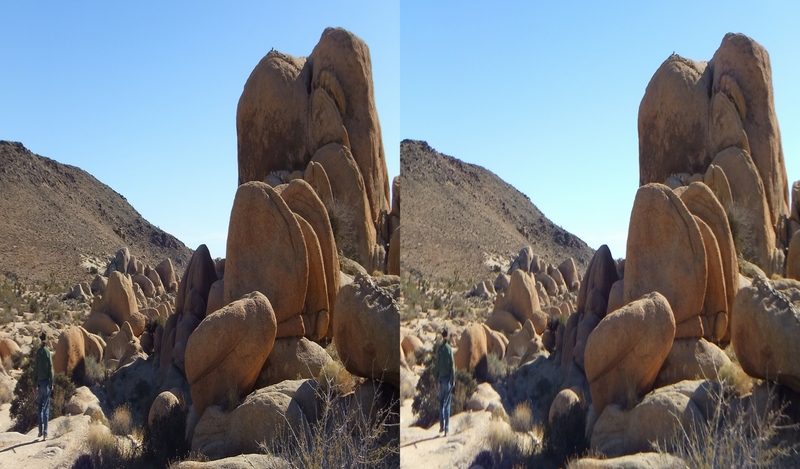 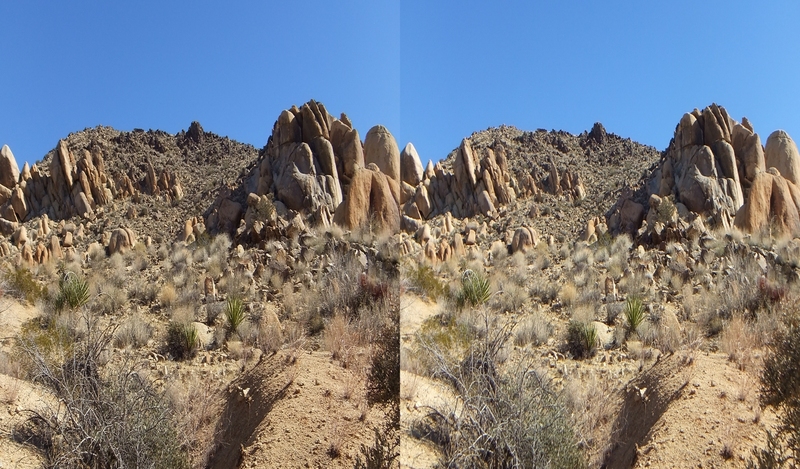 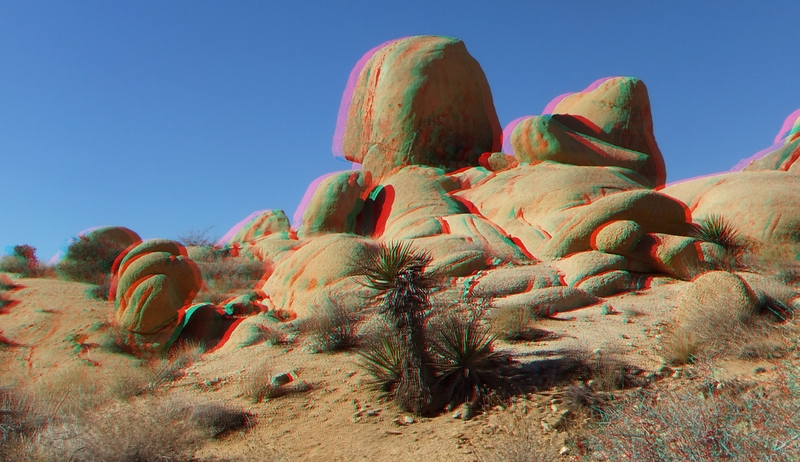 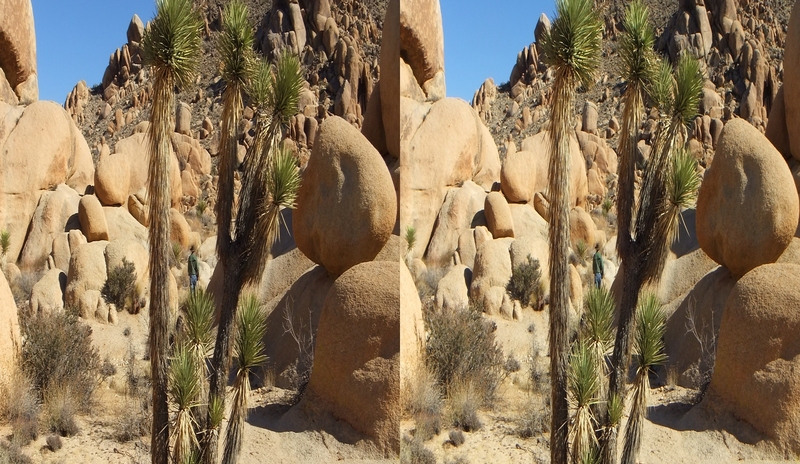 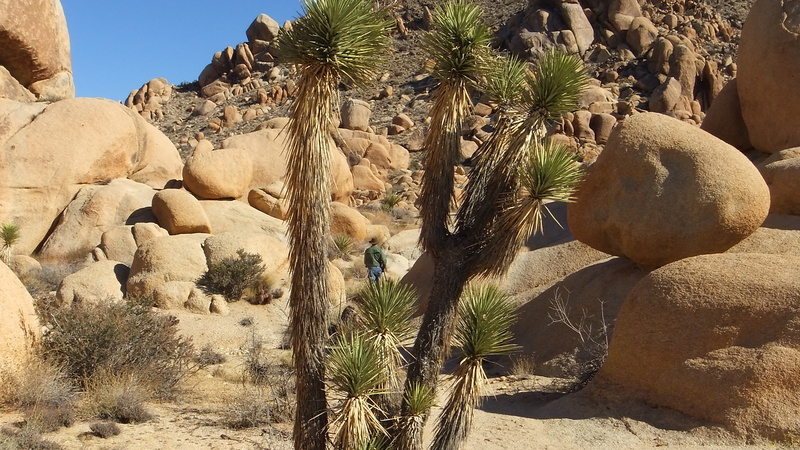 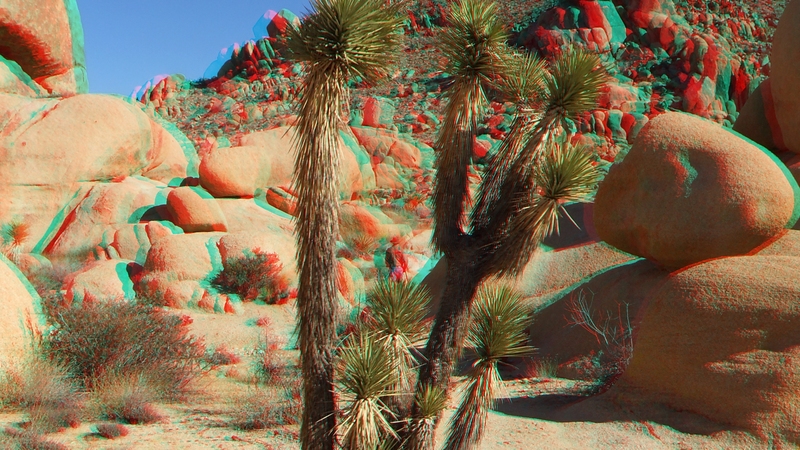 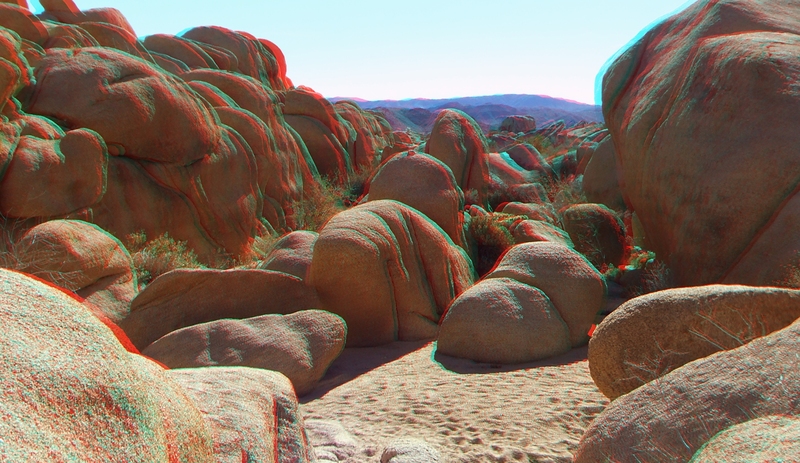 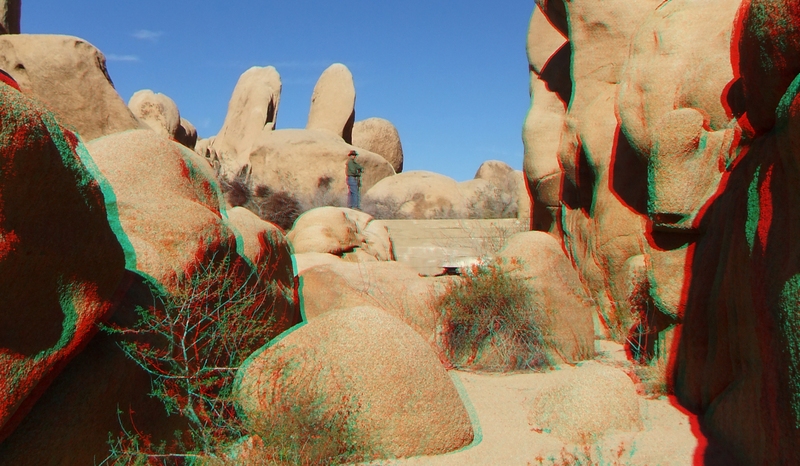 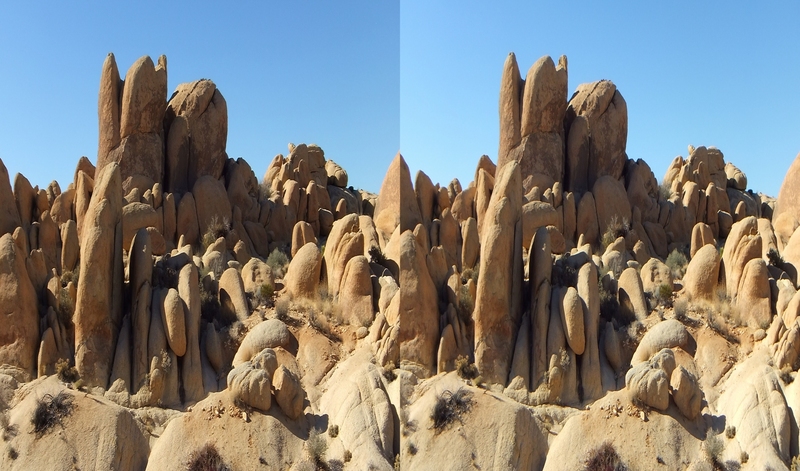 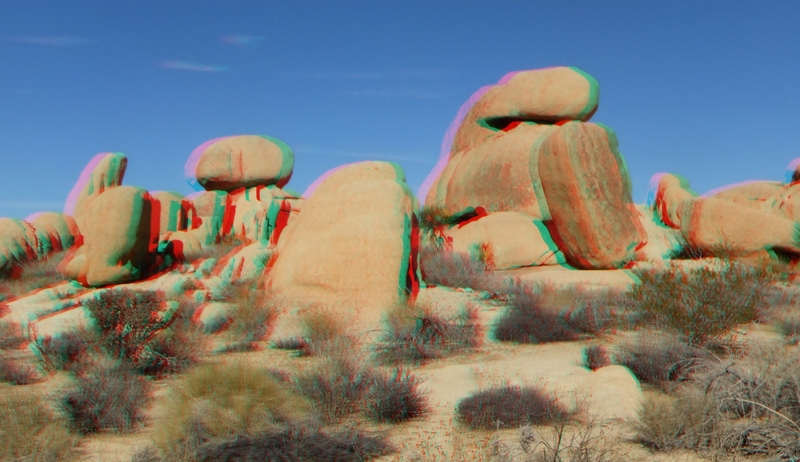 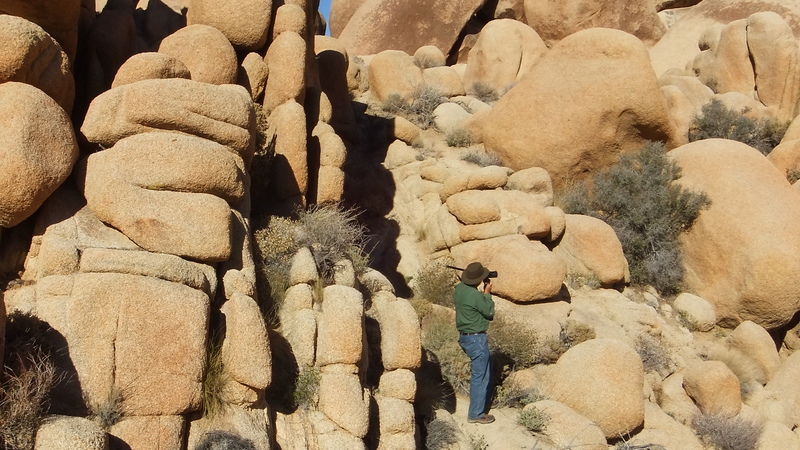 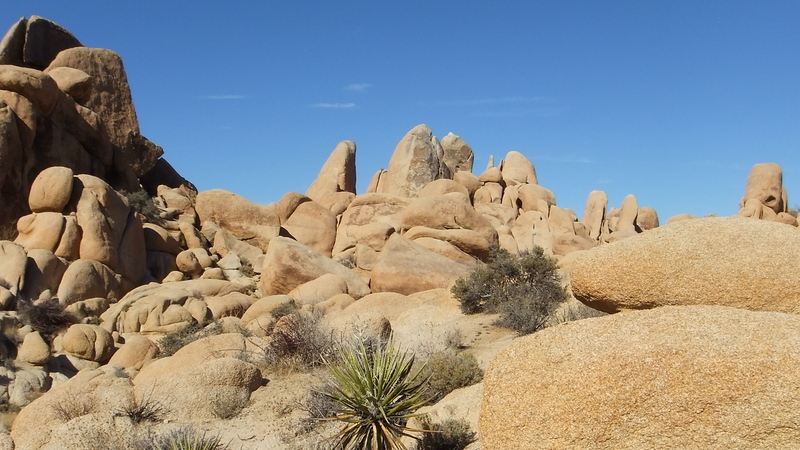 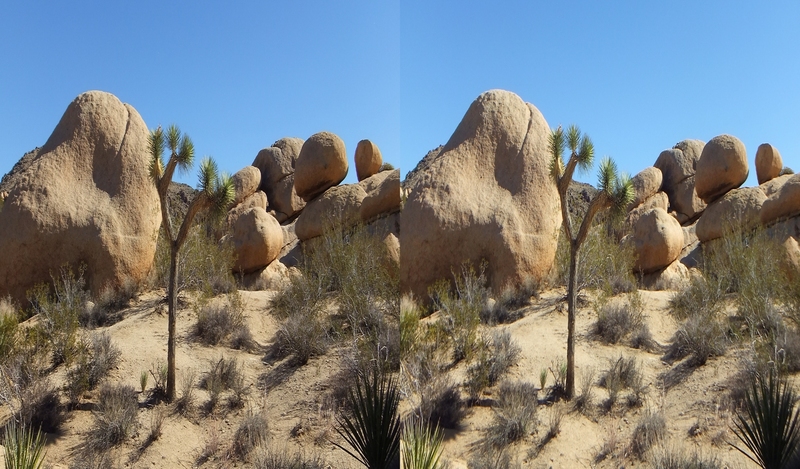 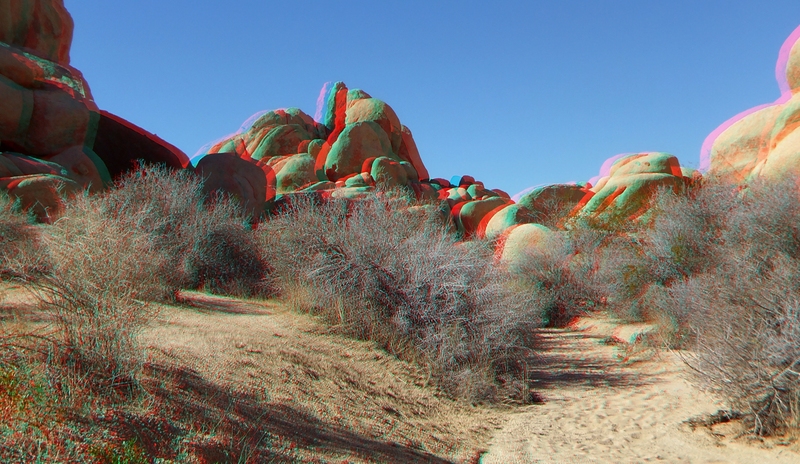 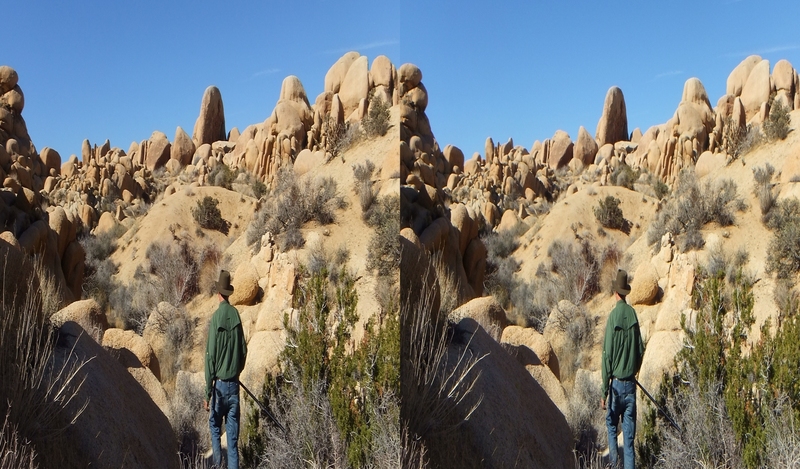 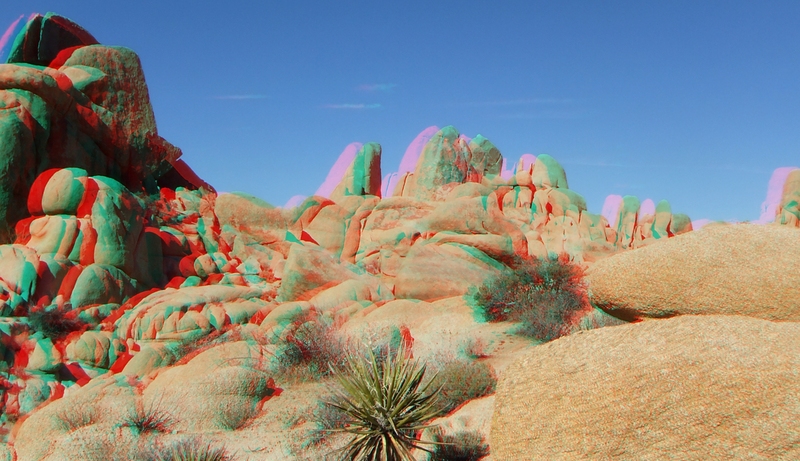 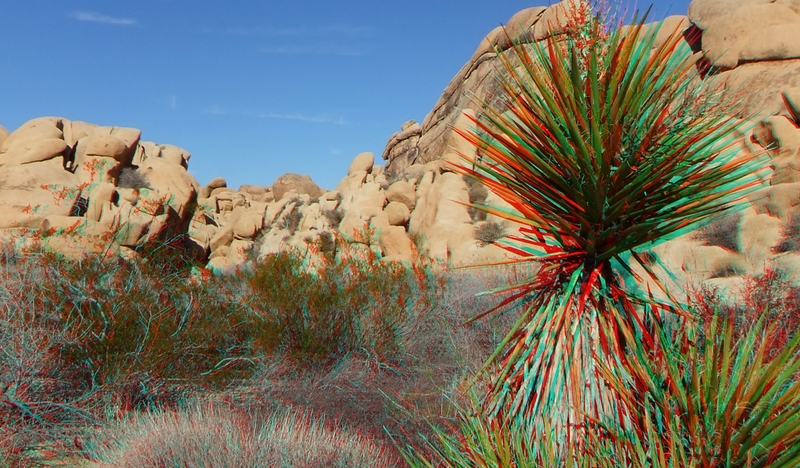 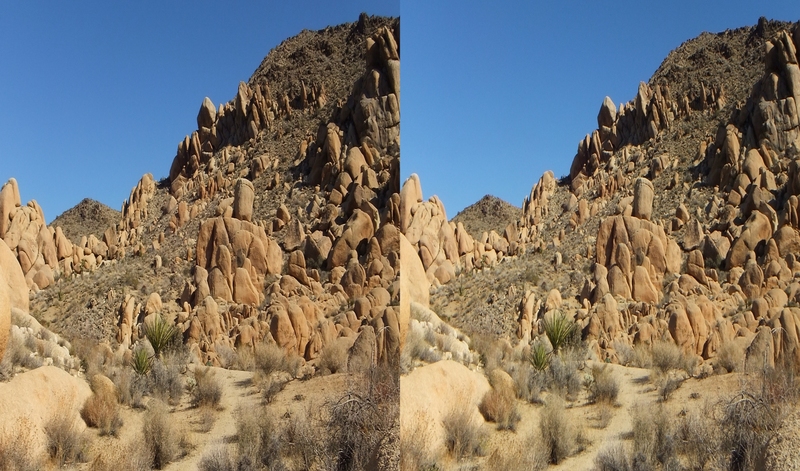 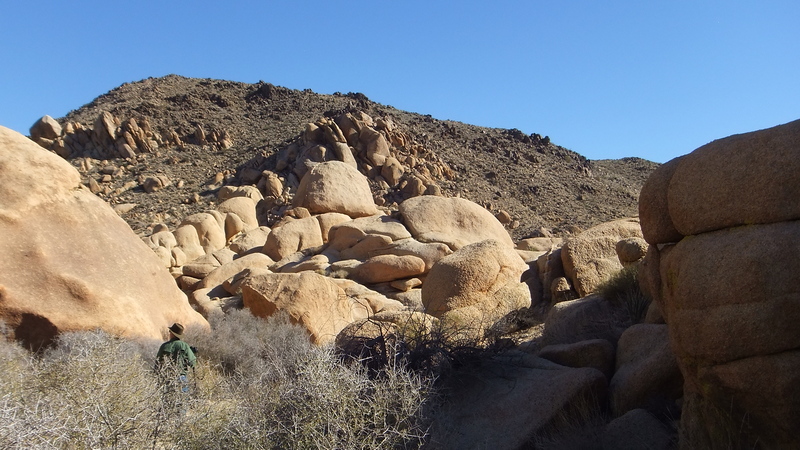 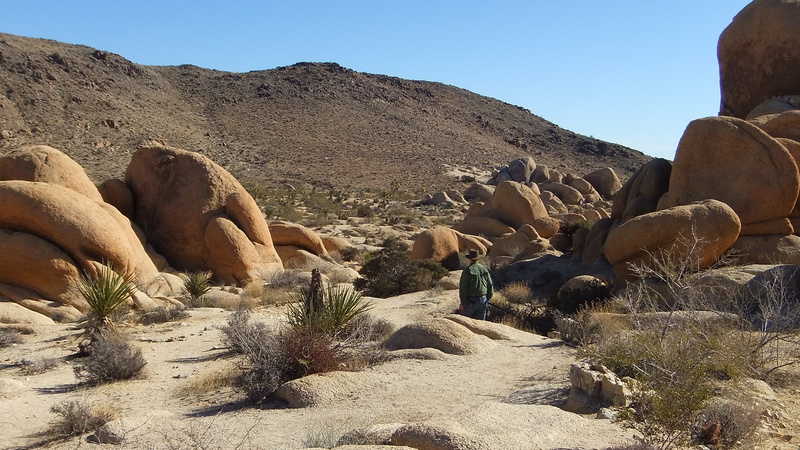 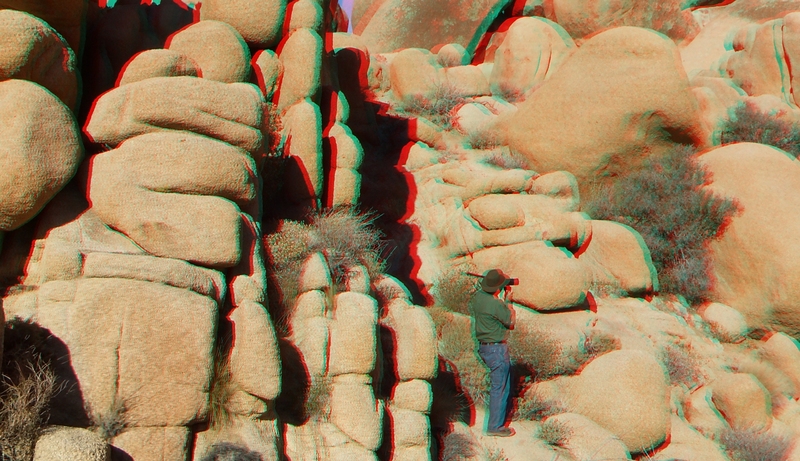 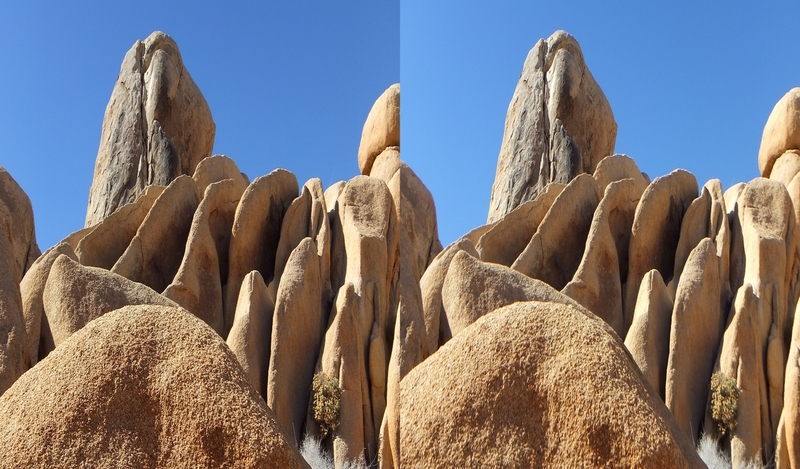 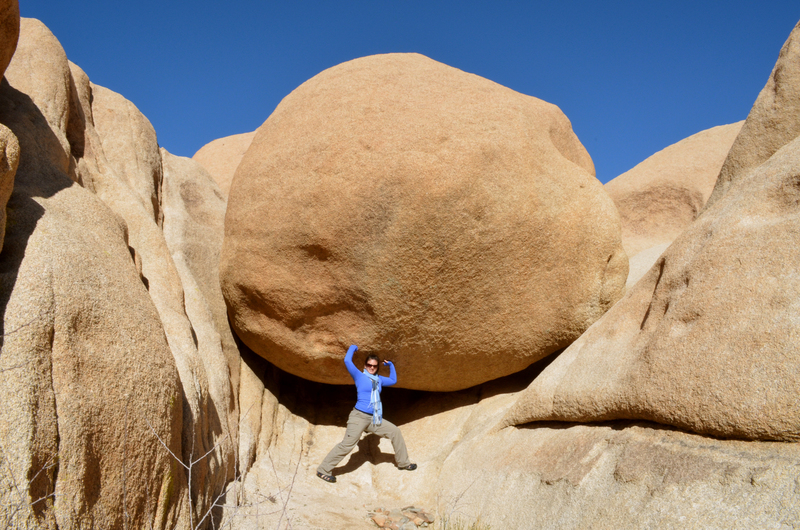 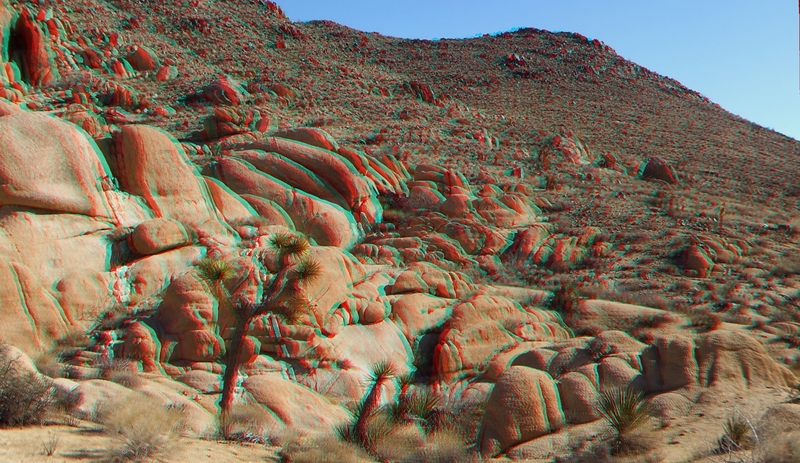 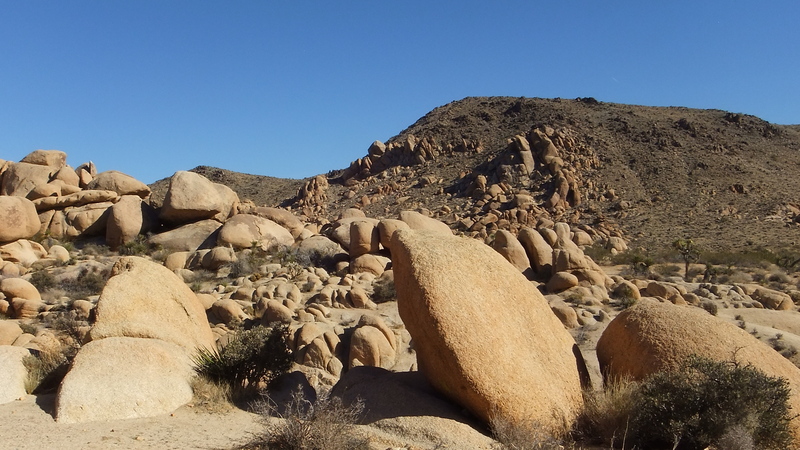 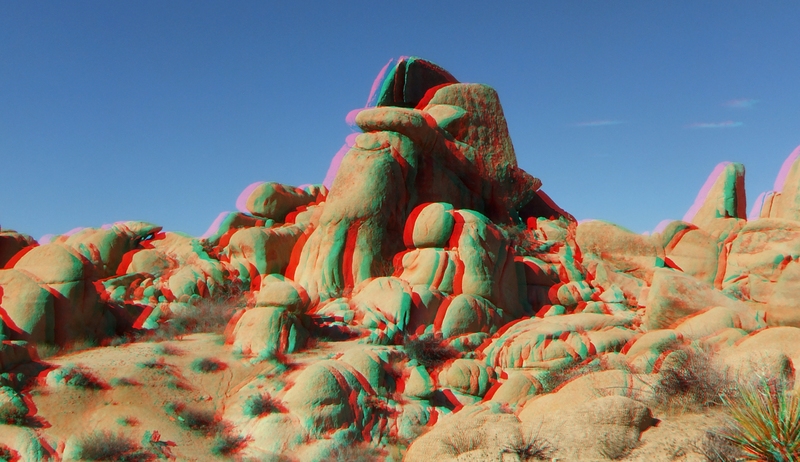 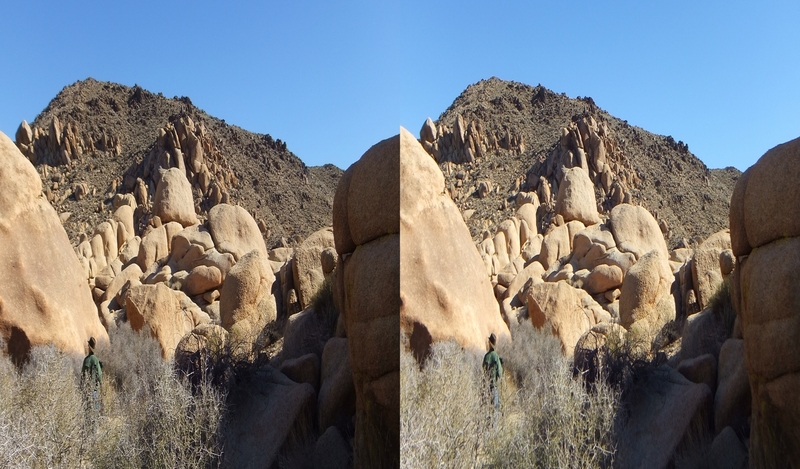 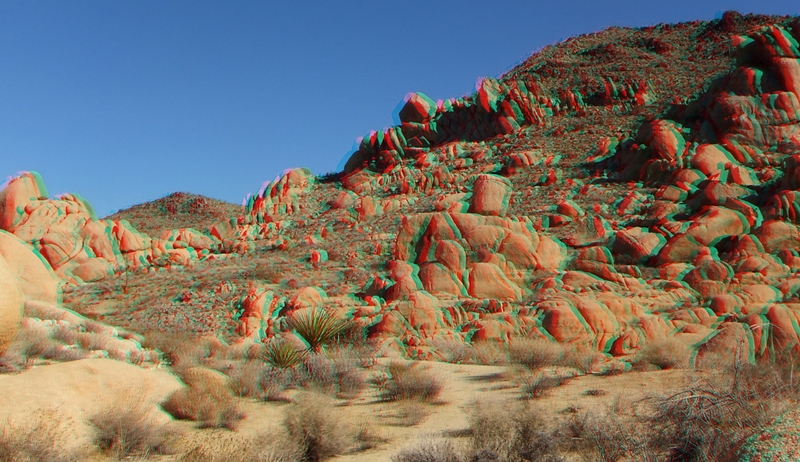 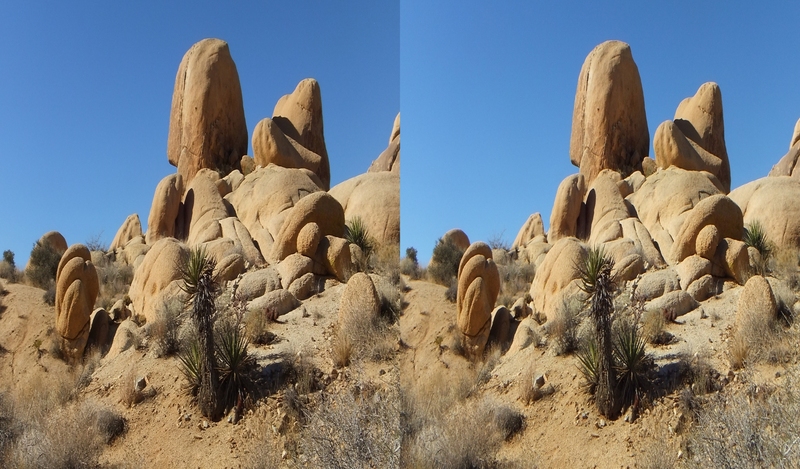 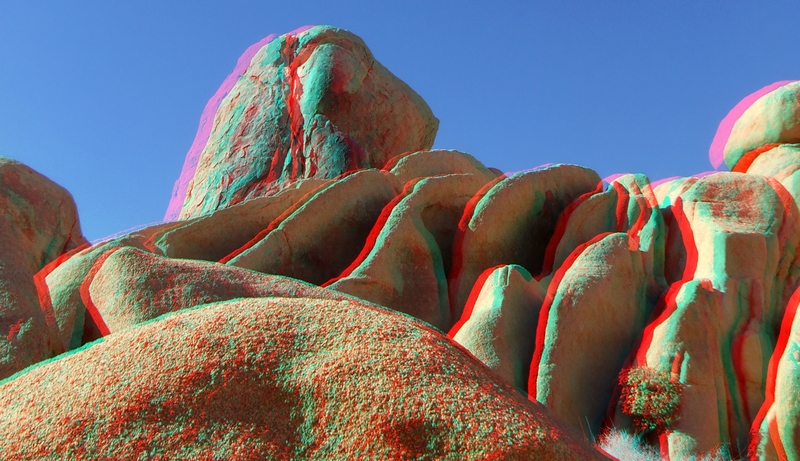 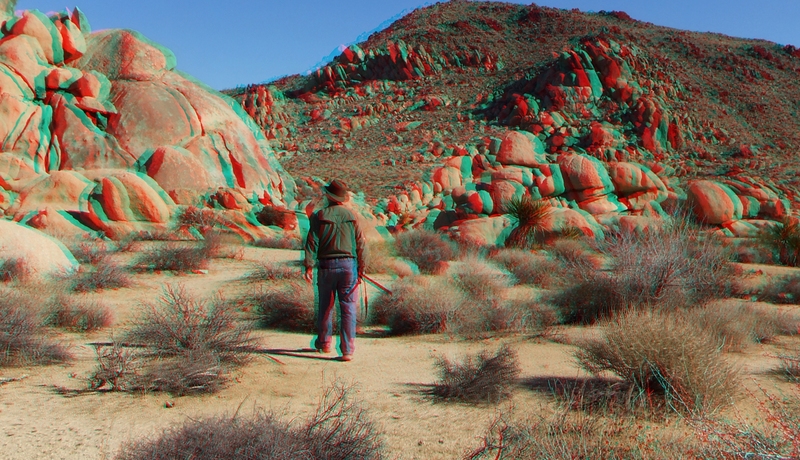 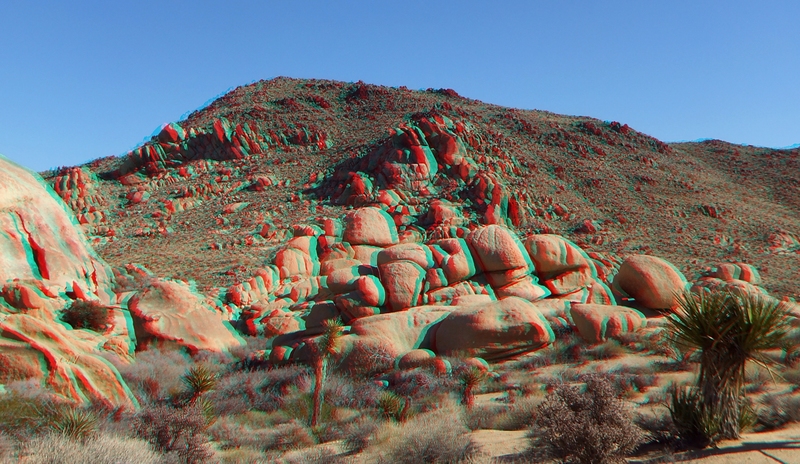 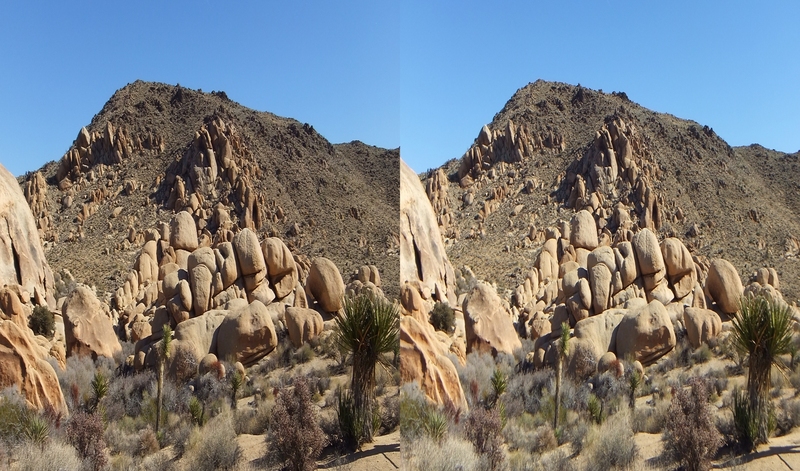 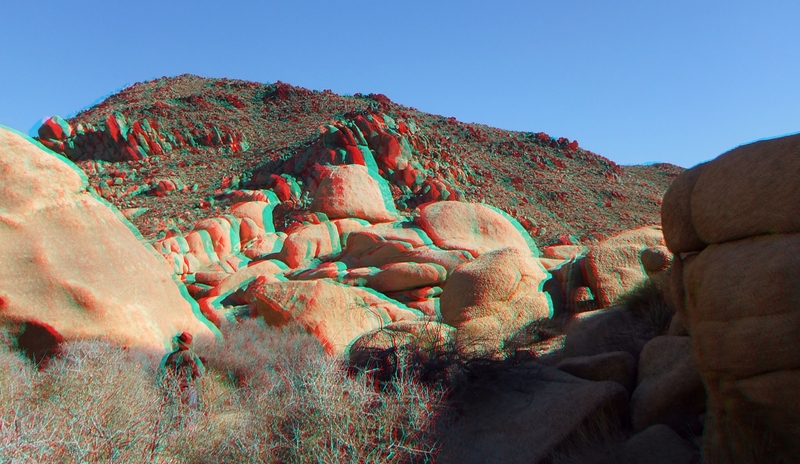 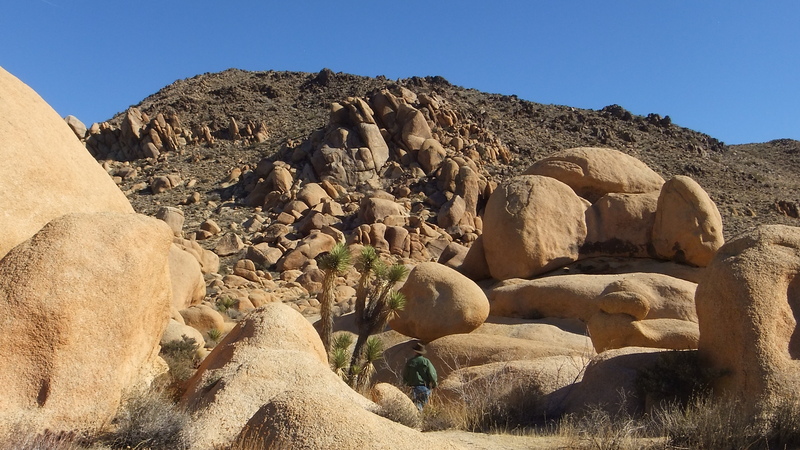 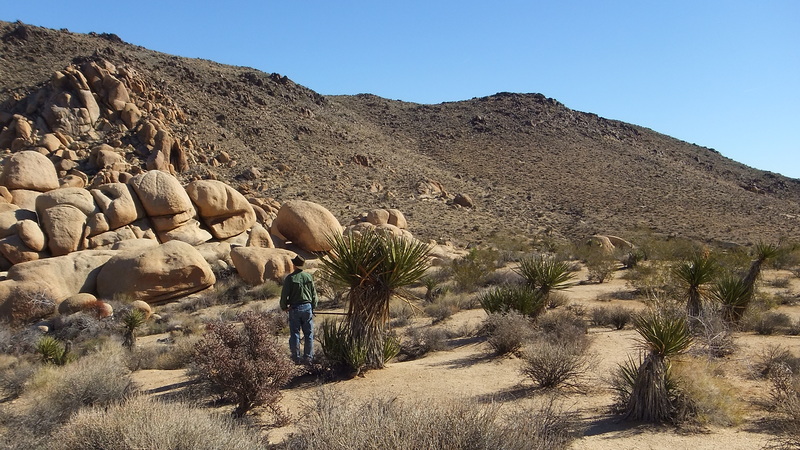 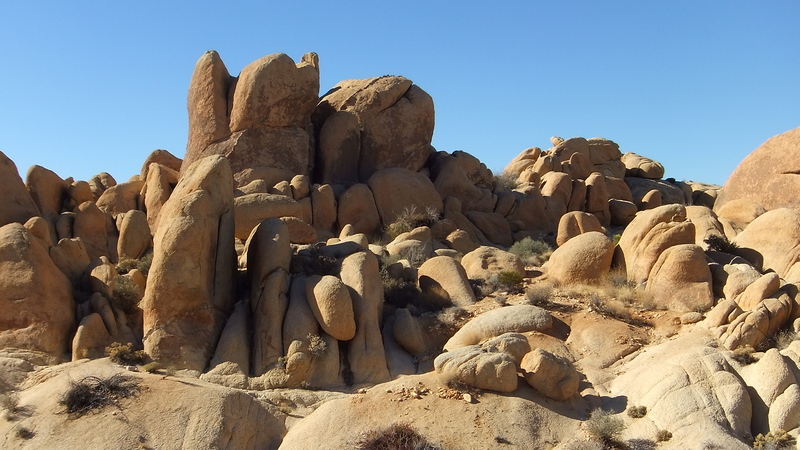 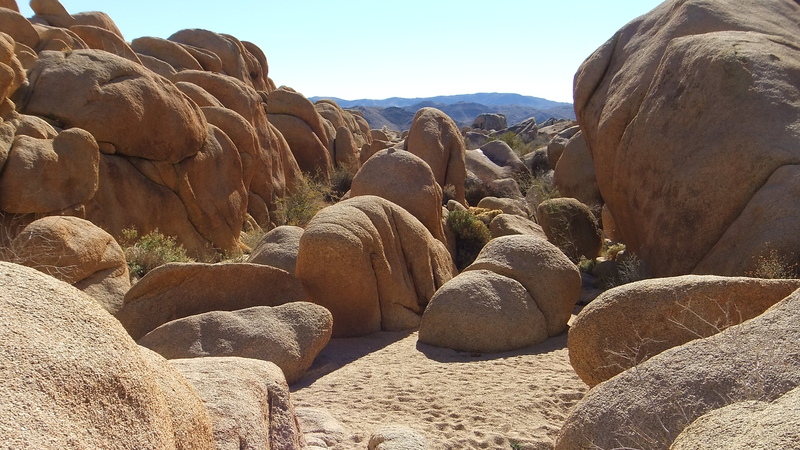 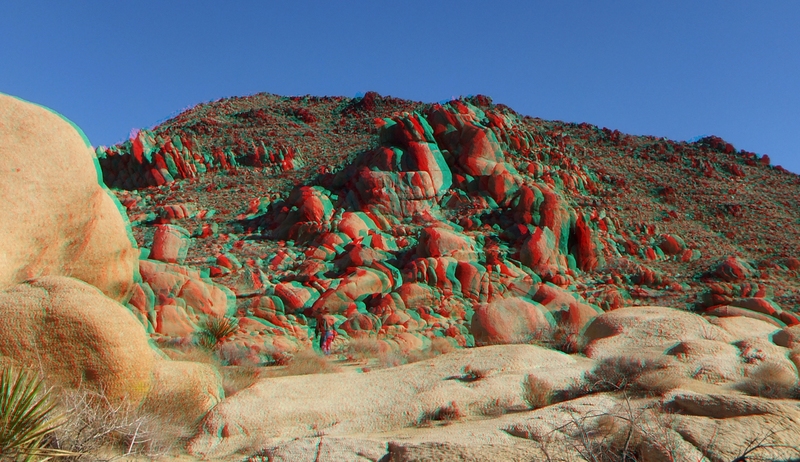 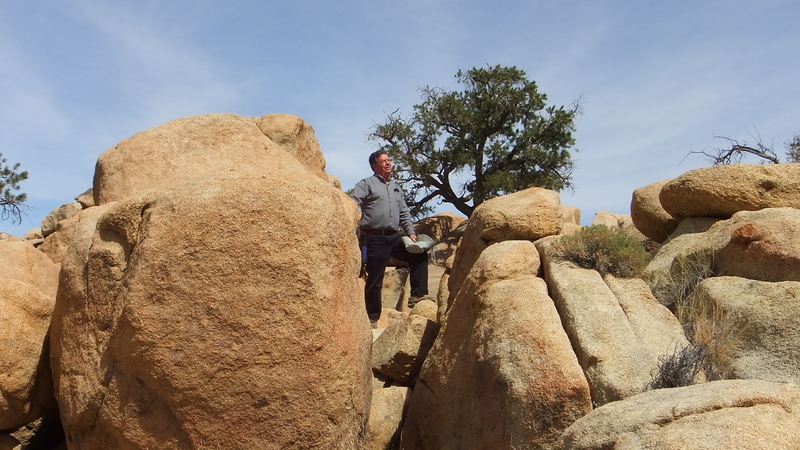 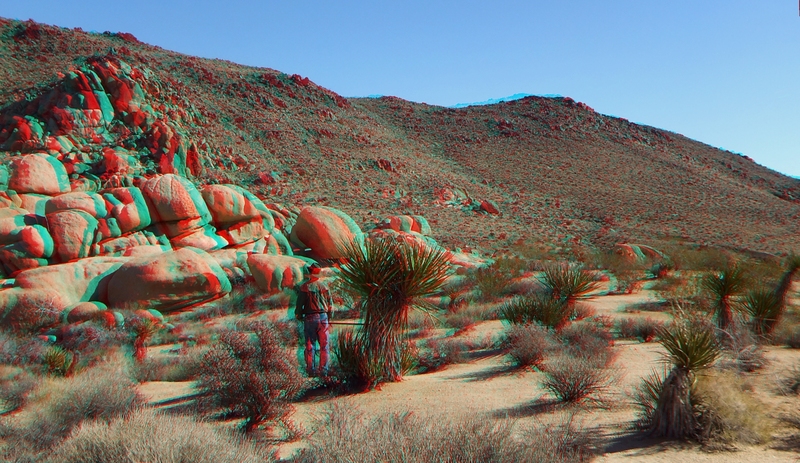 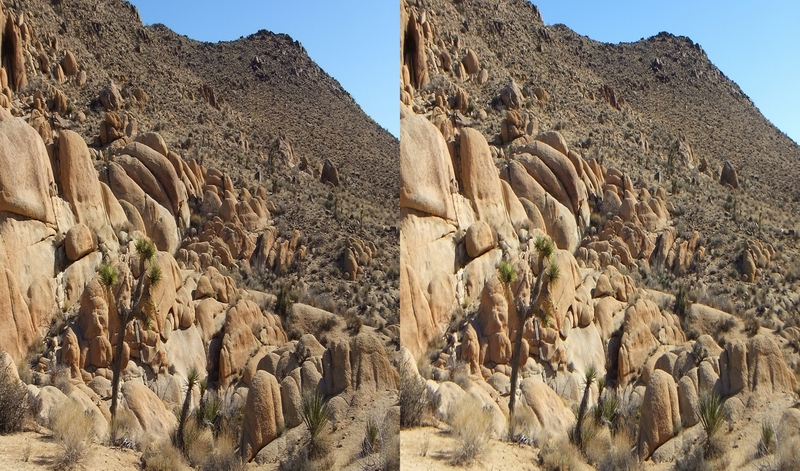 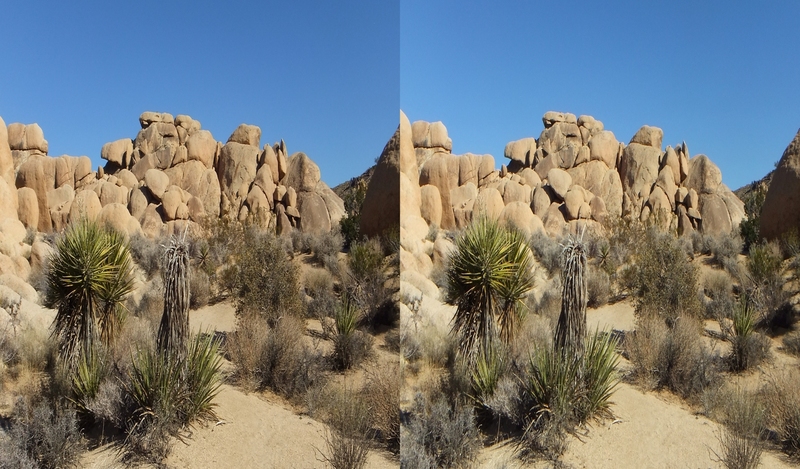 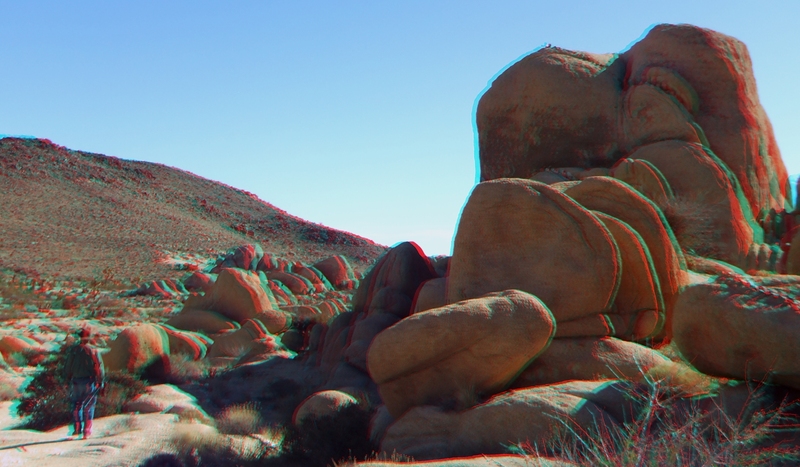 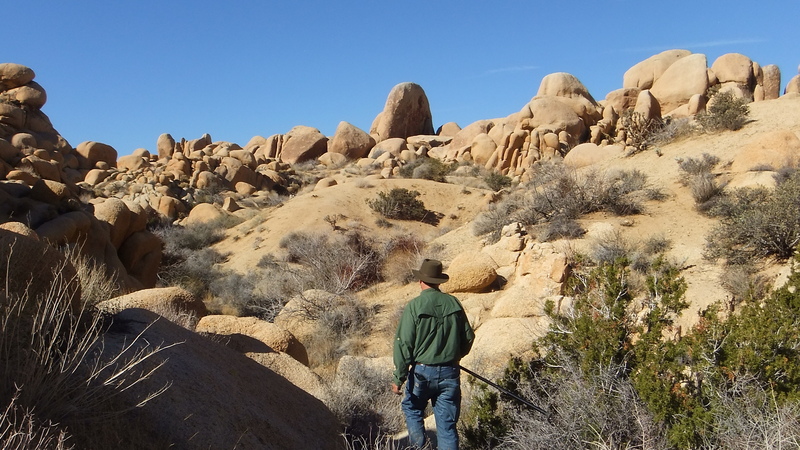 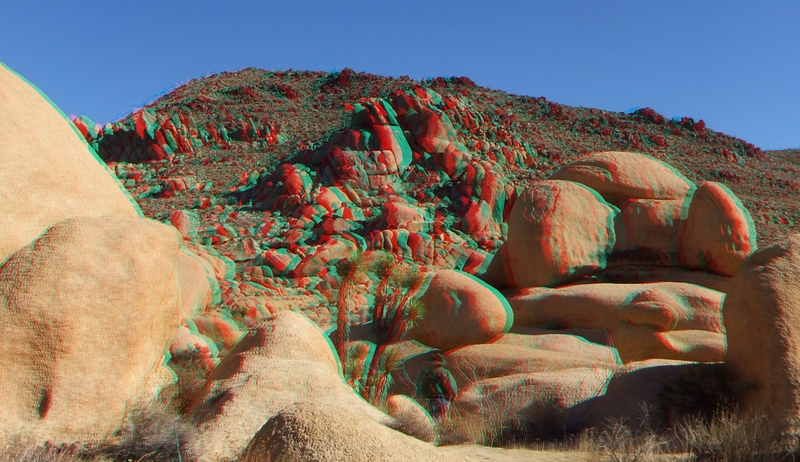 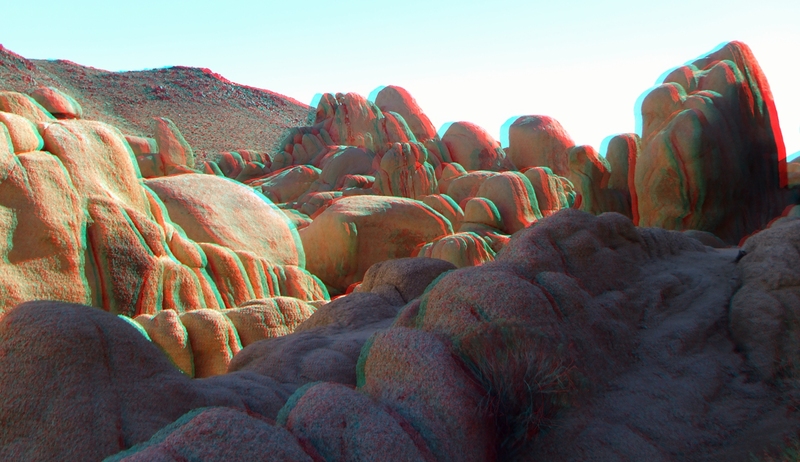 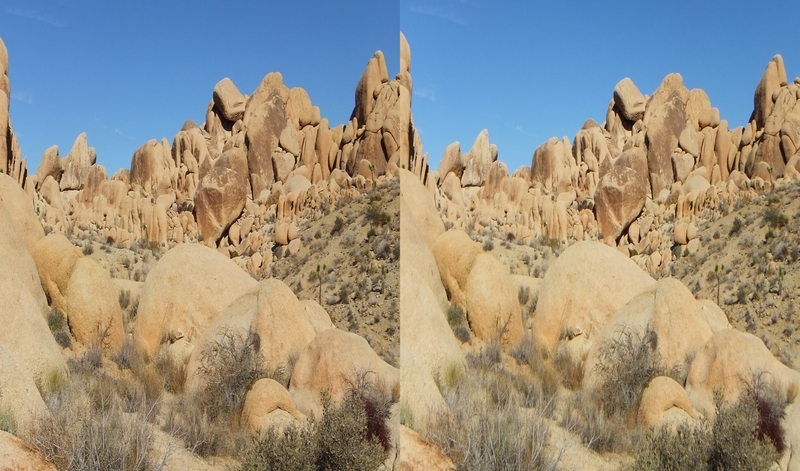 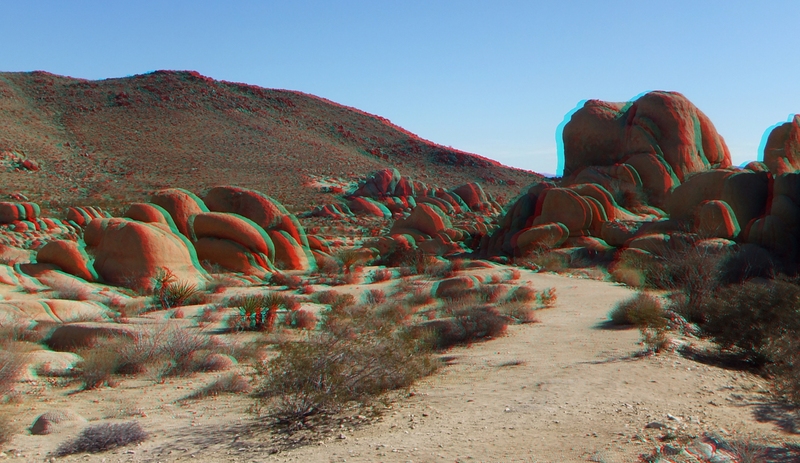 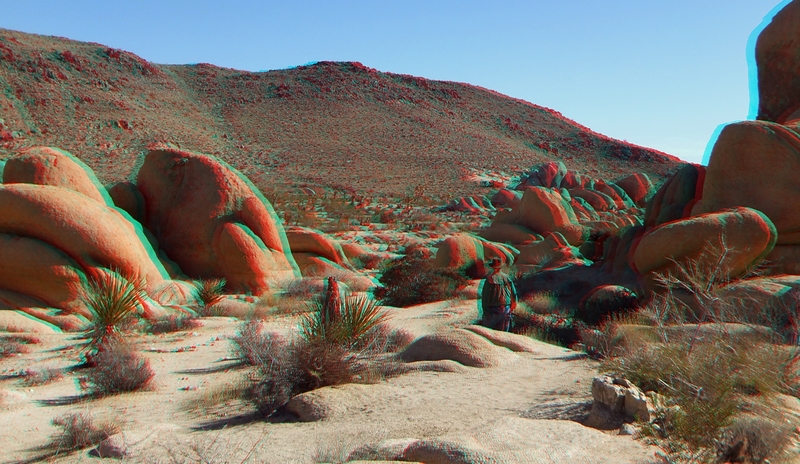 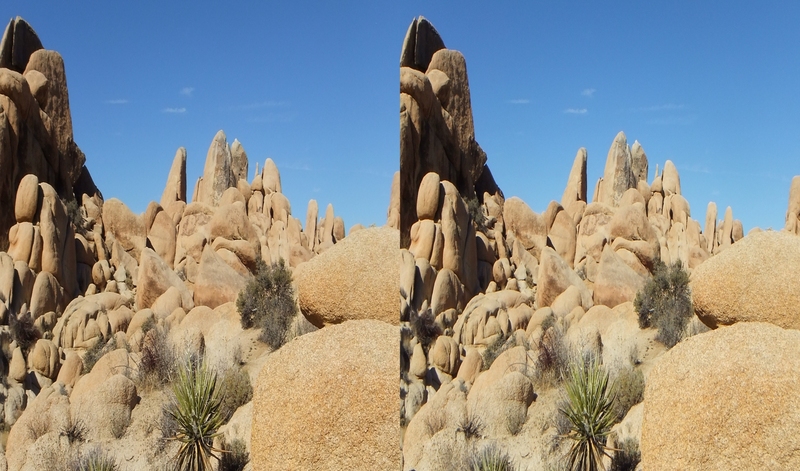 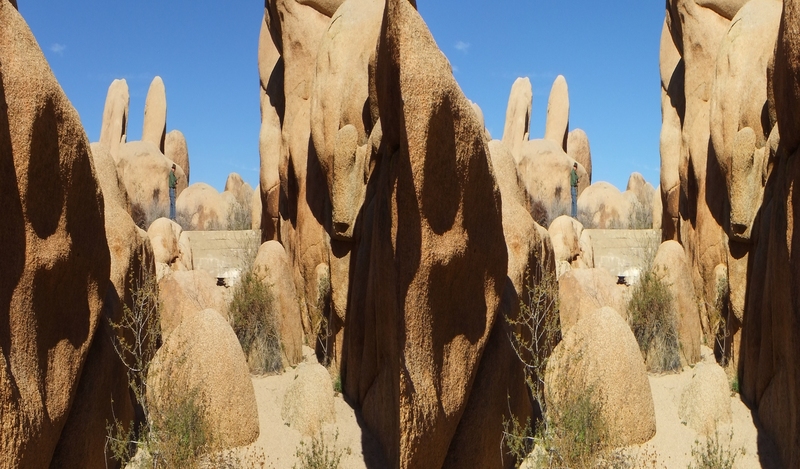 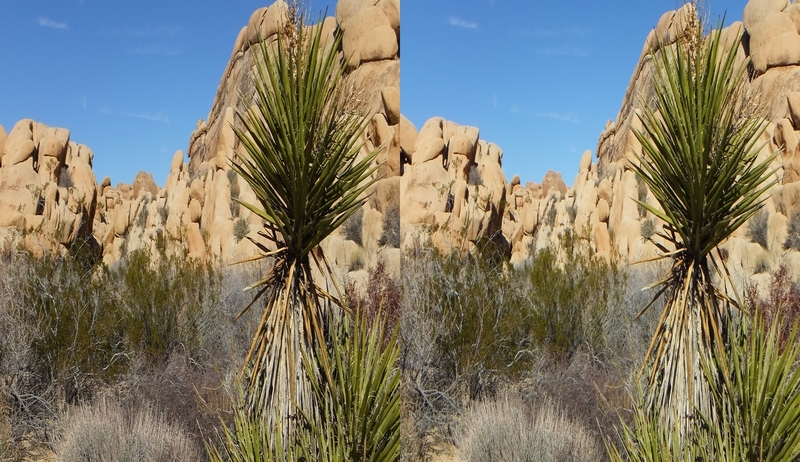 Thank you for visiting Joshuatree3D and the White Tank Campground galleries. 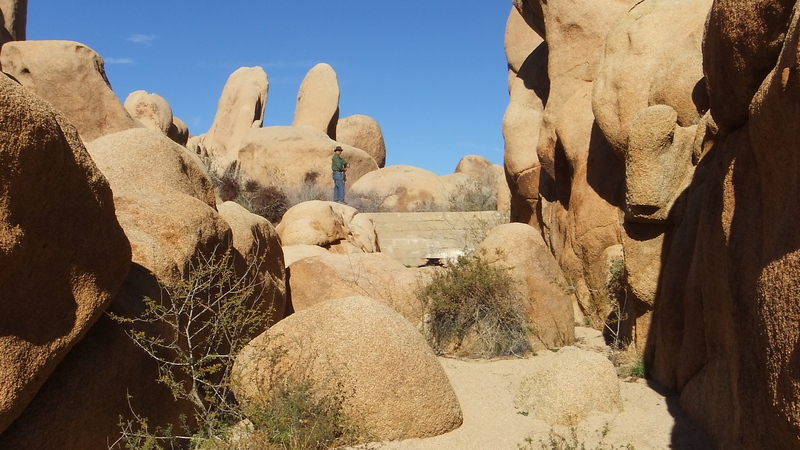 I hope you found something interesting!